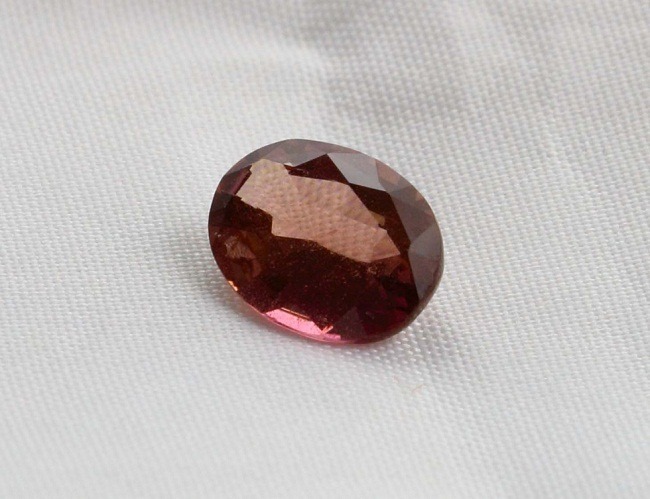 Tourmaline is the name given to a complex variety of Boron silicate mineral. 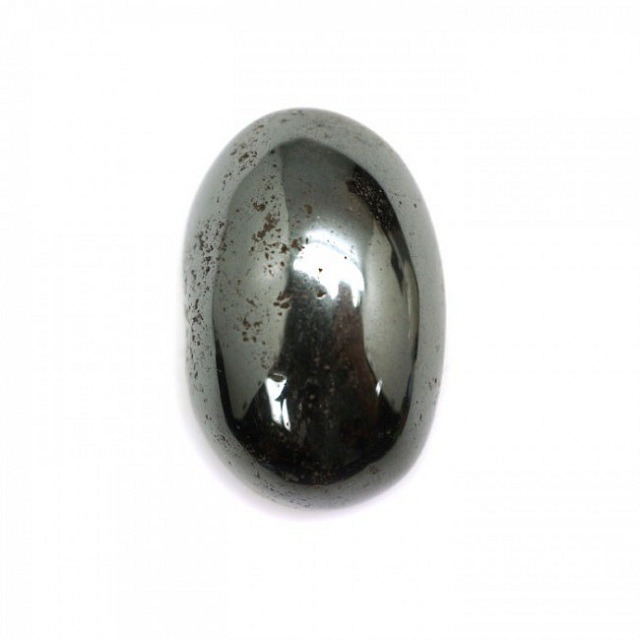 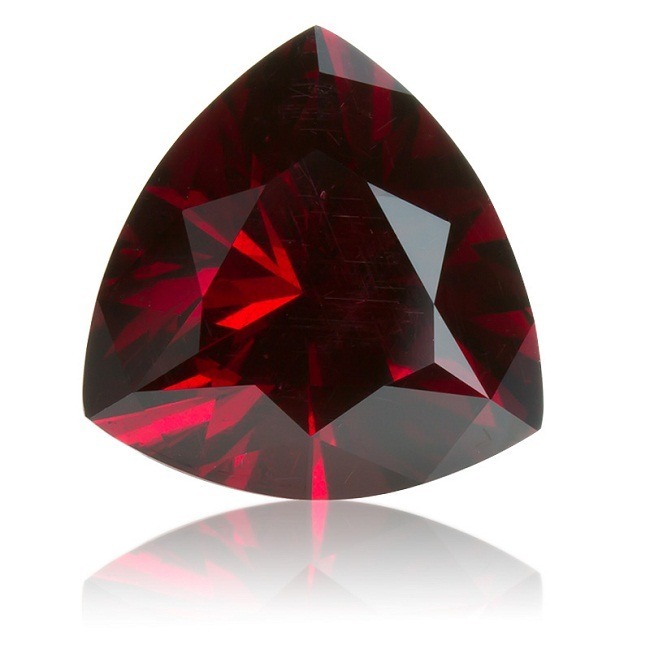 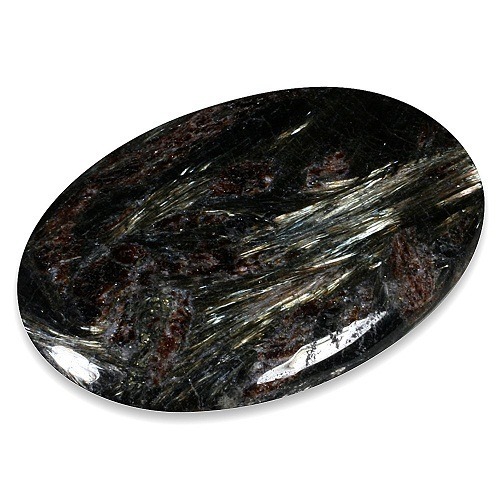 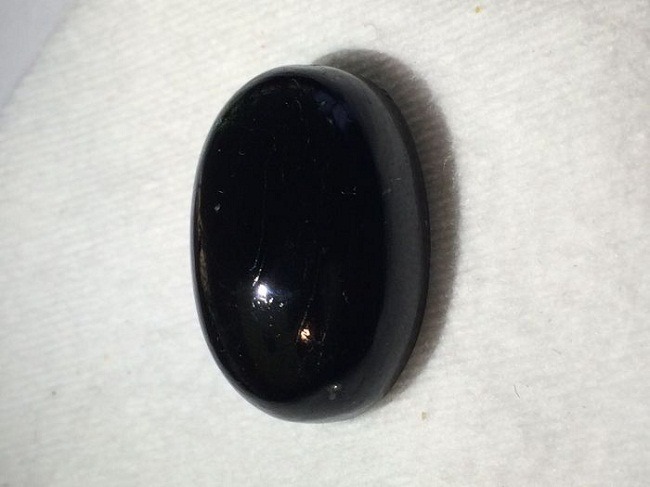 Black star tourmaline is one of the most fascinated and beautiful variety of tourmaline gemstone. 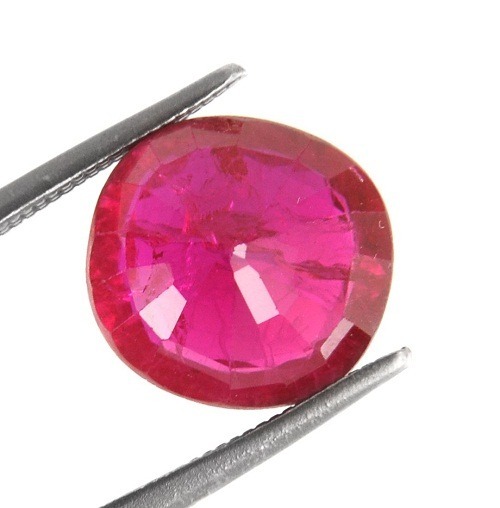 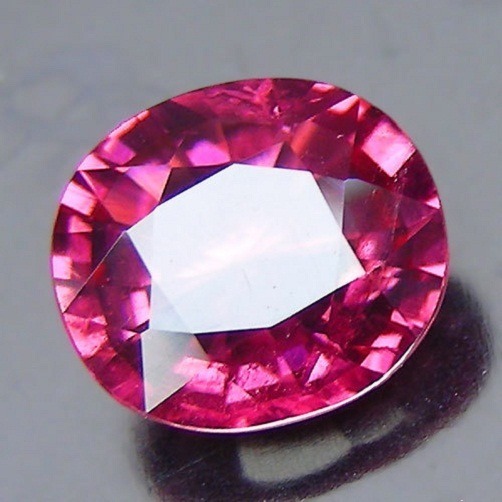 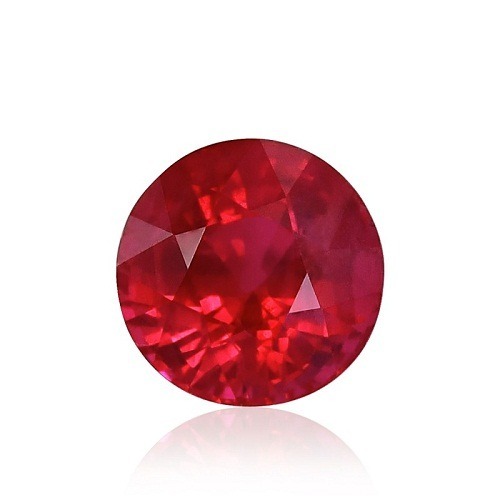 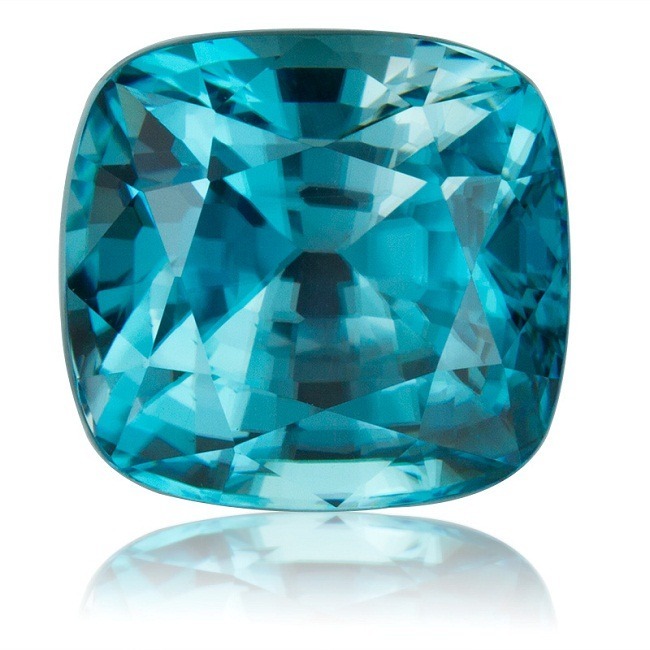 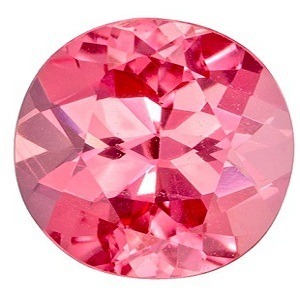 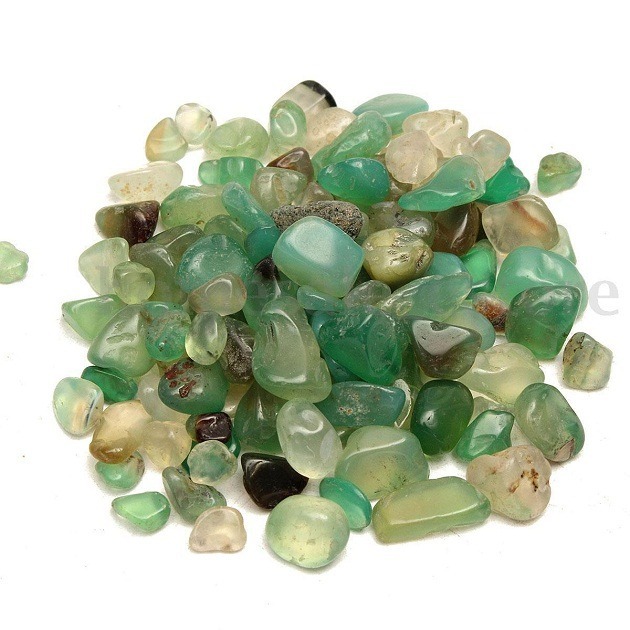 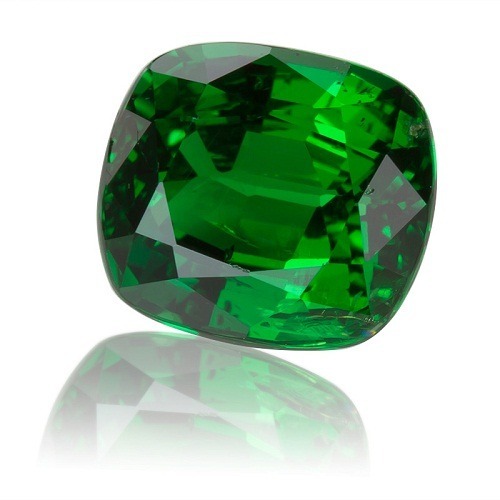 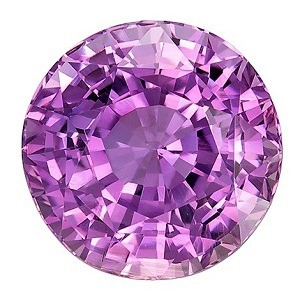 Due to its wide range of colors, tourmaline is considered as the most versatile gemstones. 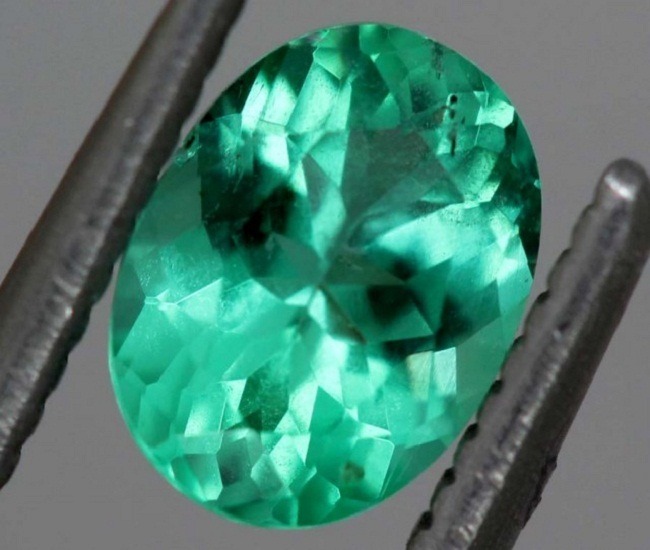 The word tourmaline is derived from the Sinhalese word means “stone with various colors”. 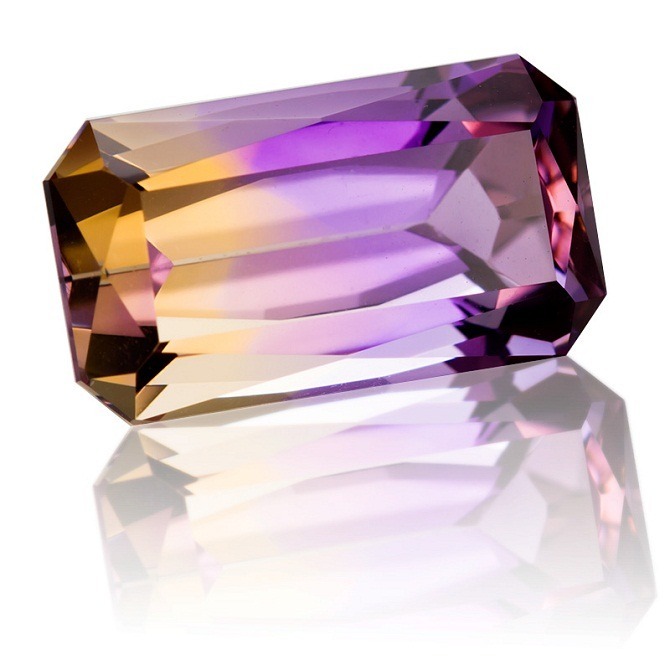 The major tourmaline species are dravite, schorl, liddicoatite, and elbaite. 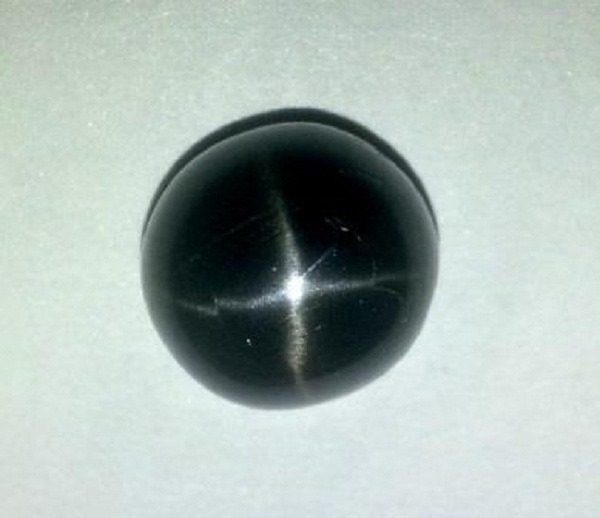 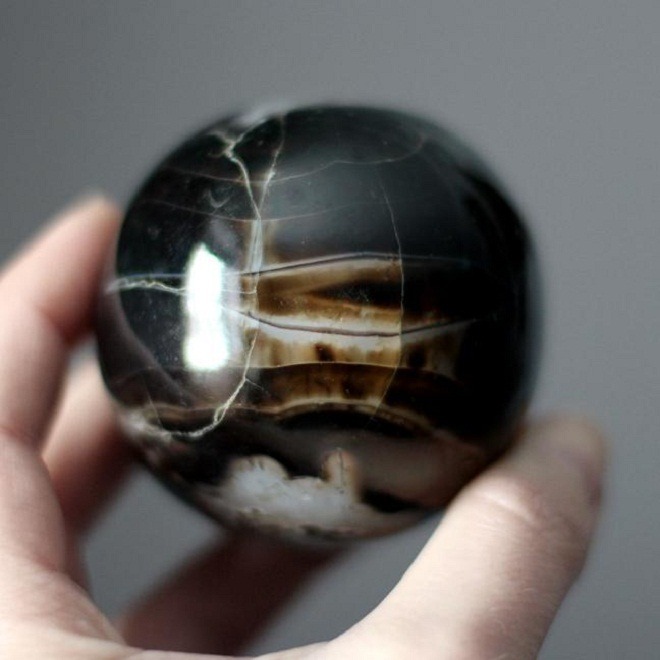 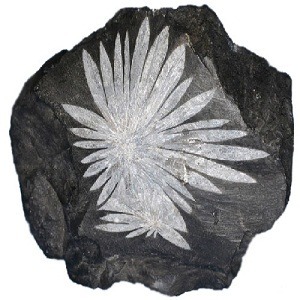 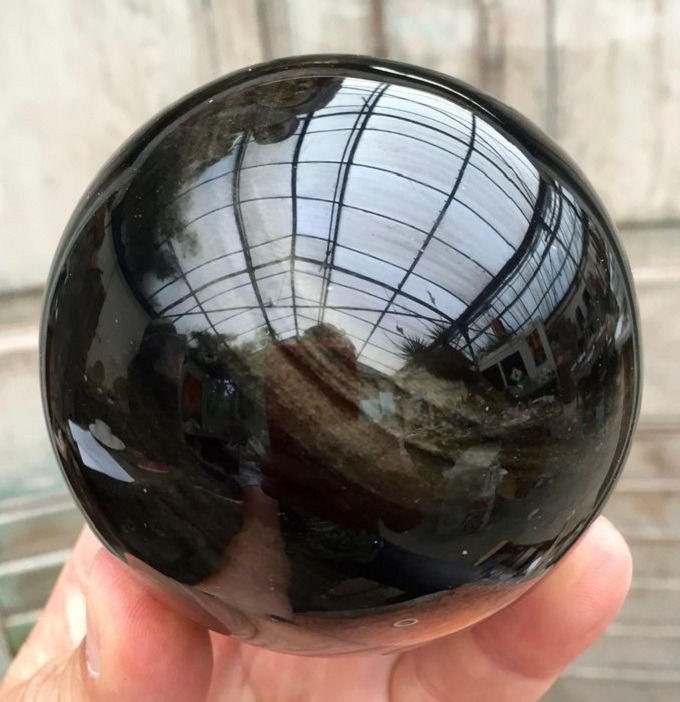 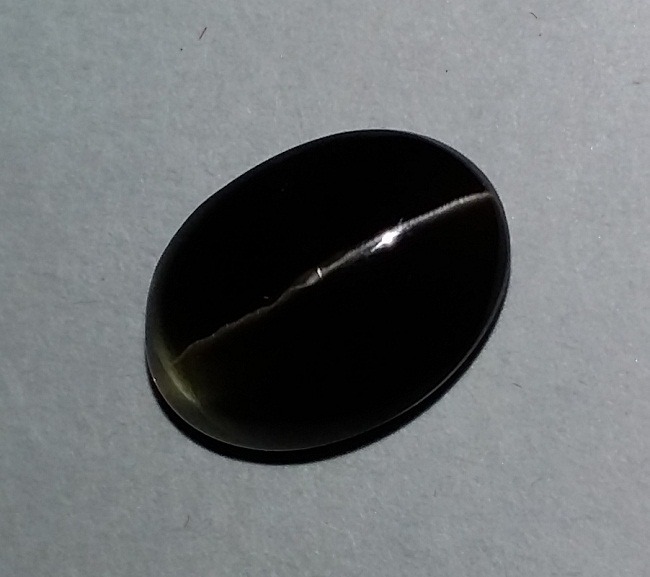 Black Star Tourmaline can be identified by a star and black shiny surface. 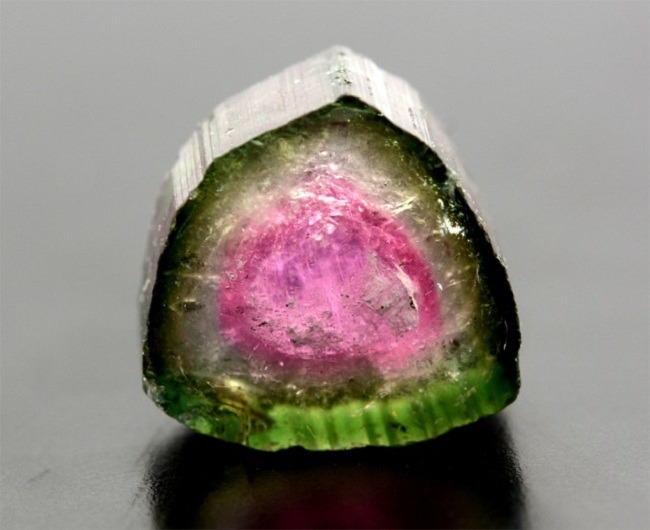 Tourmaline consists of the trigonal crystal system. 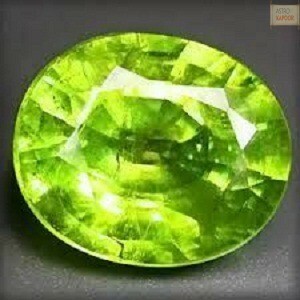 It has a hardness of 7 to 7.5 on the Moh’s scale. 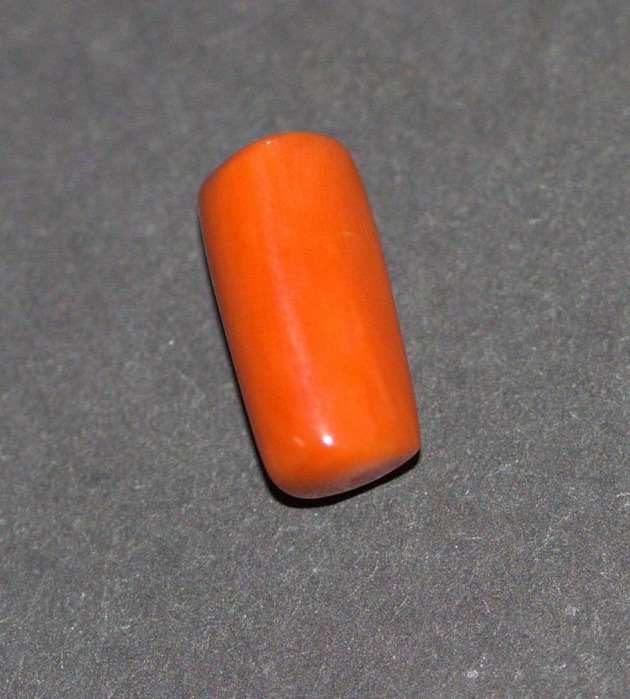 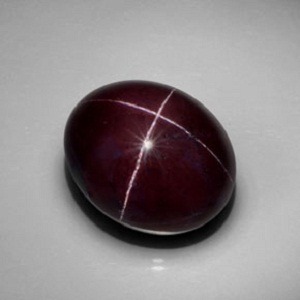 It exhibits strong pleochroism and poor cleavage. 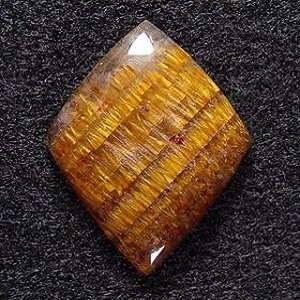 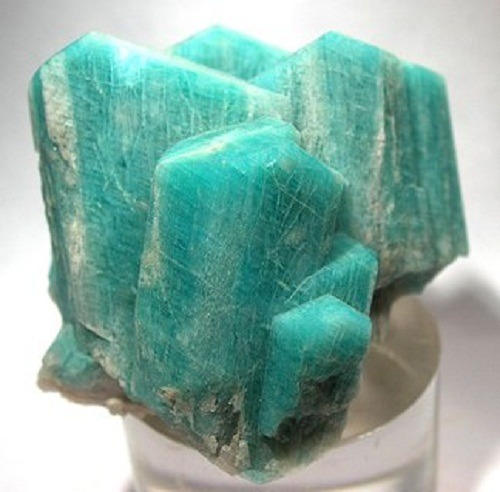 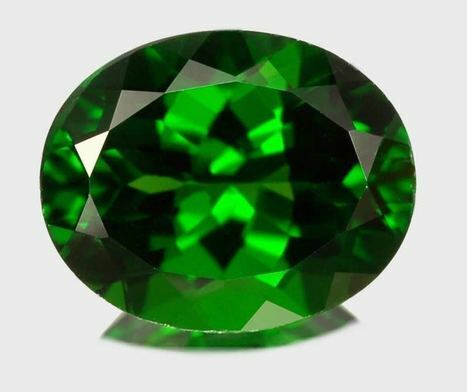 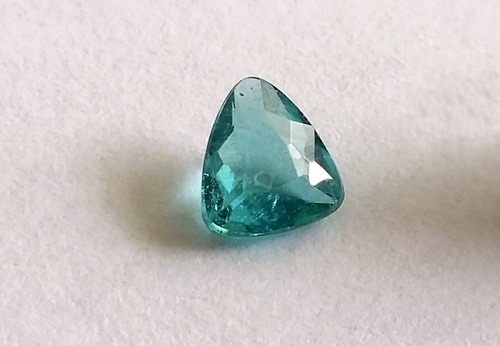 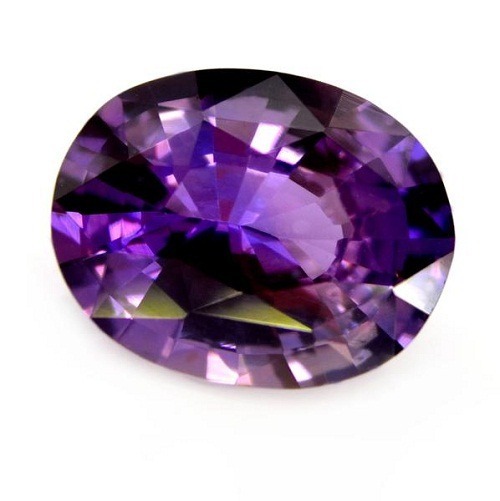 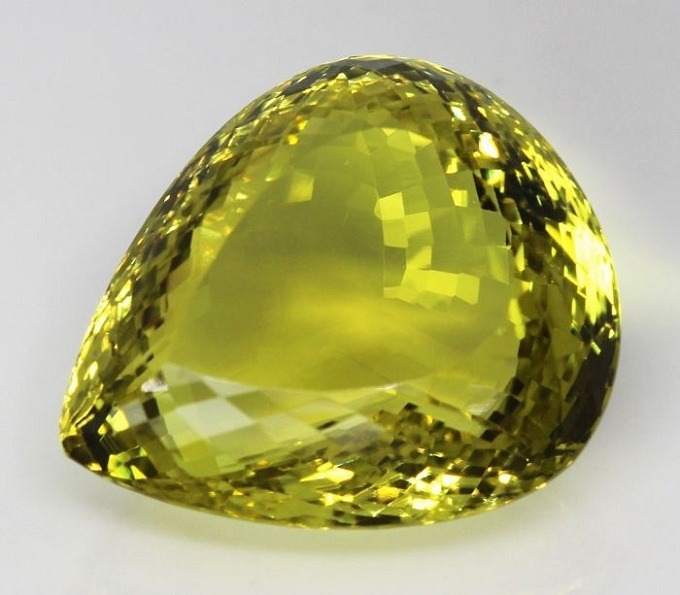 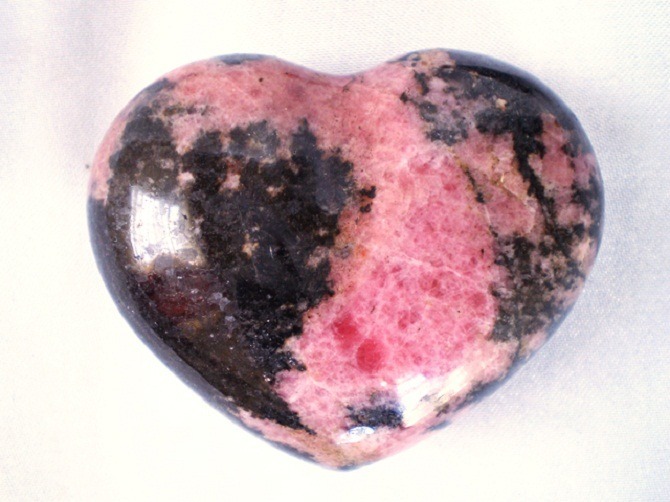 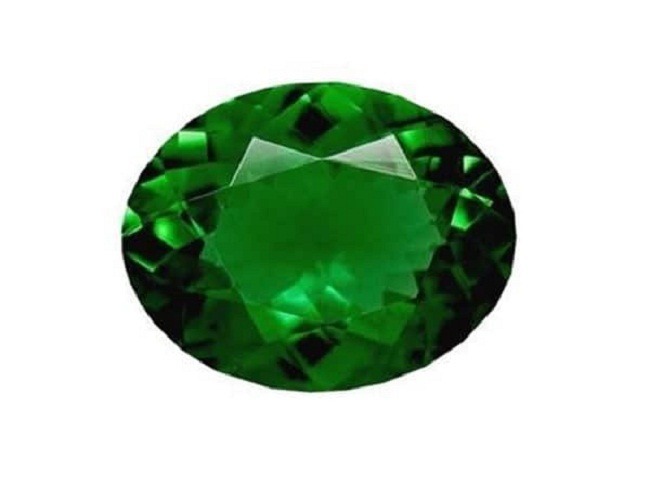 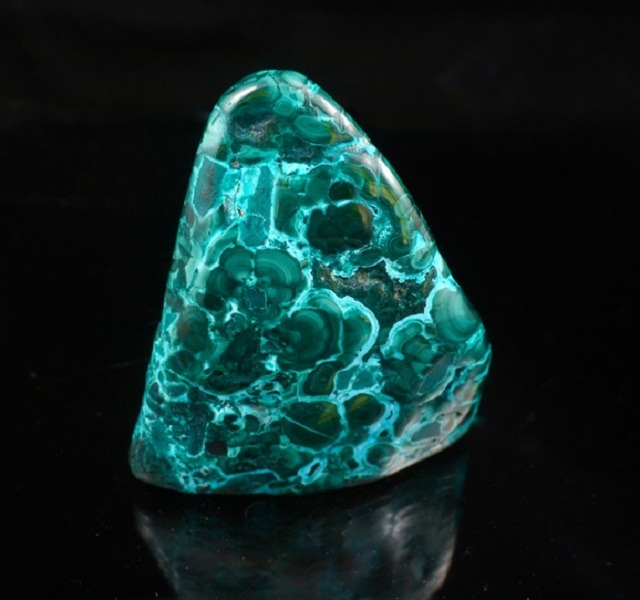 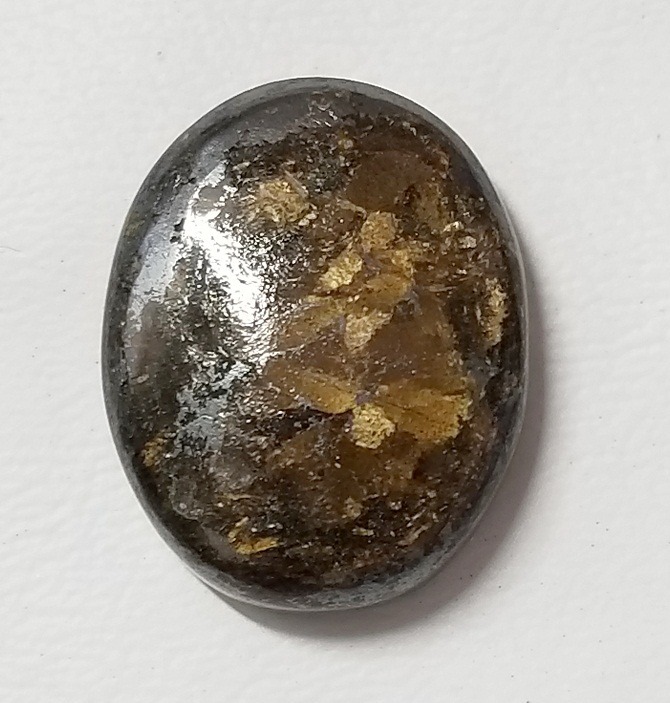 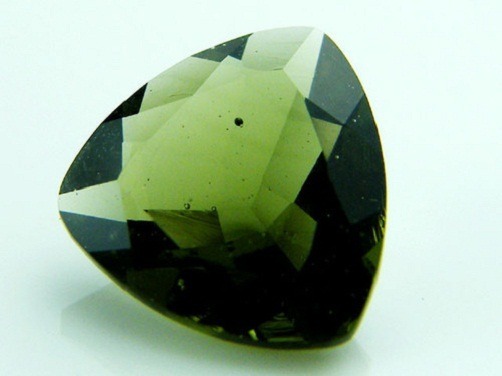 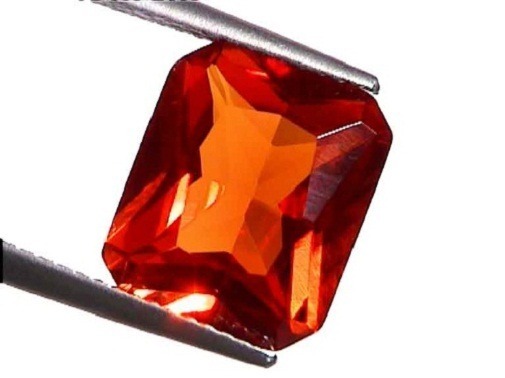 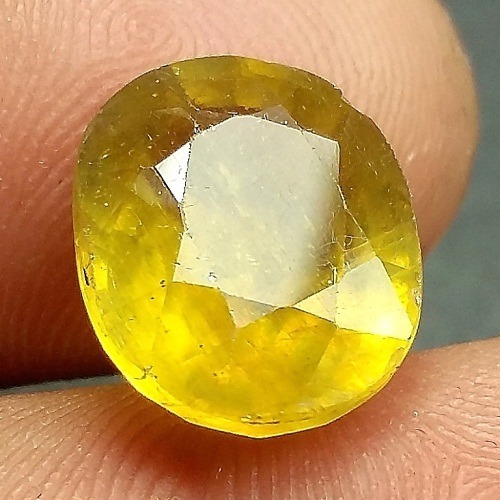 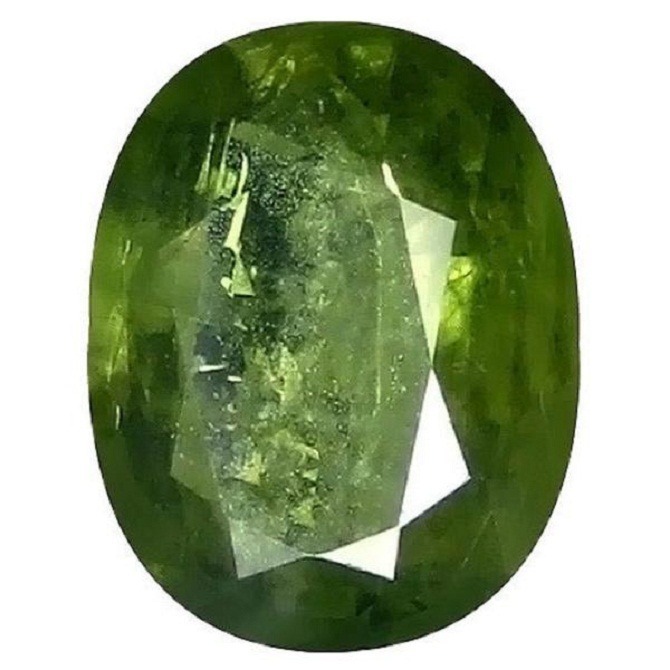 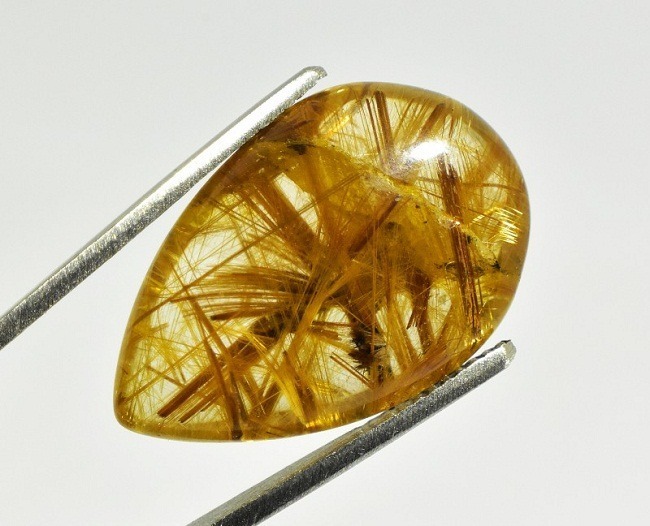 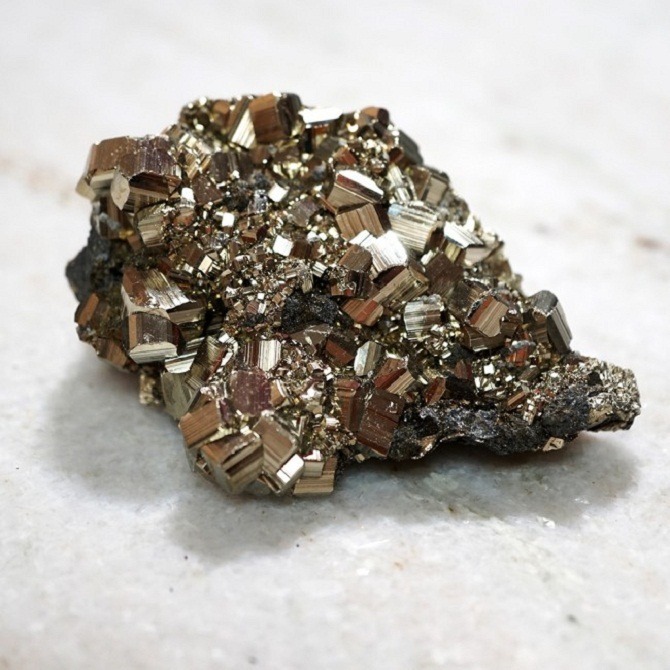 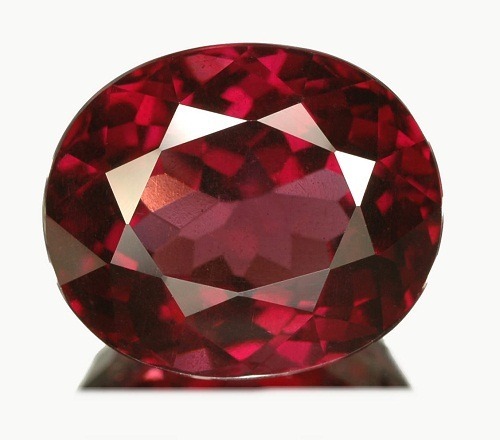 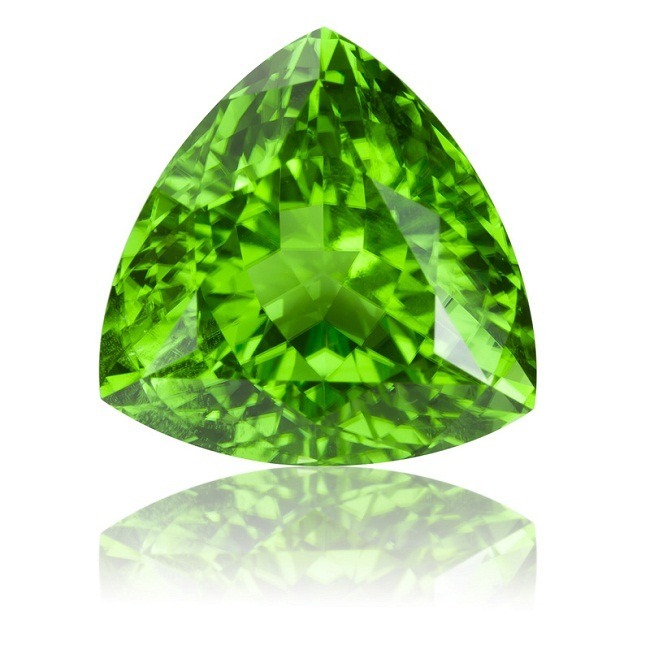 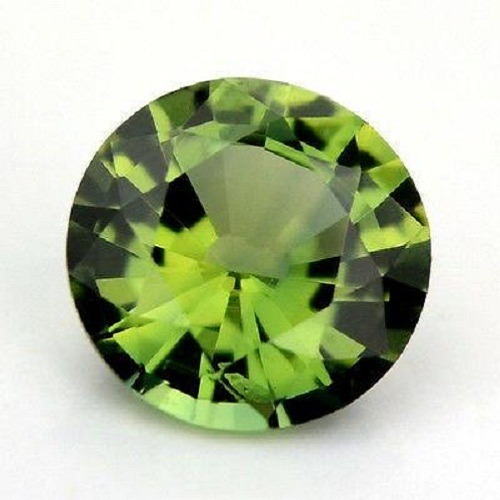 Tourmaline has an unique property of pyro-piezoelectric, means crystal can hold and produce electric charge when it is subjected to any mechanical stress. 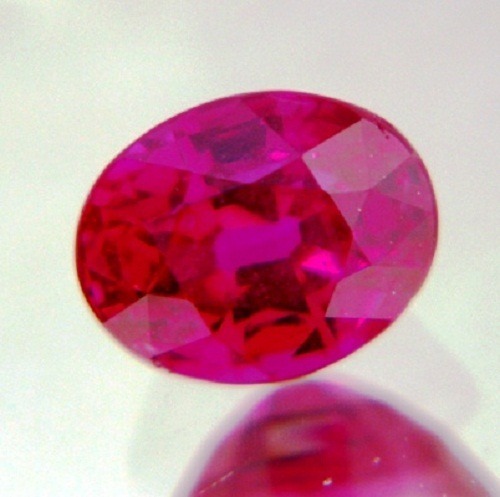 When Tourmaline crystals are rubbed, they produce friction. 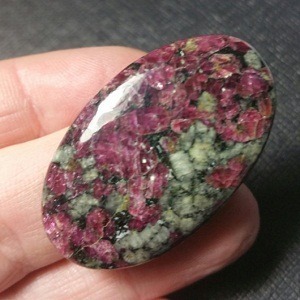 Tourmaline is mainly found in pegmatite/alluvial deposits. 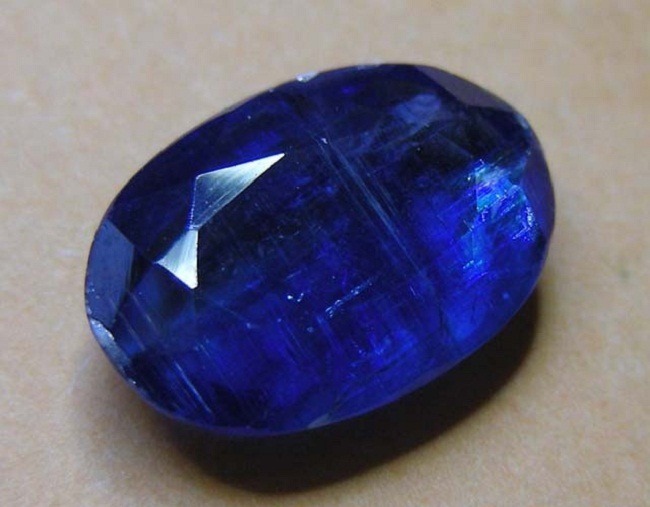 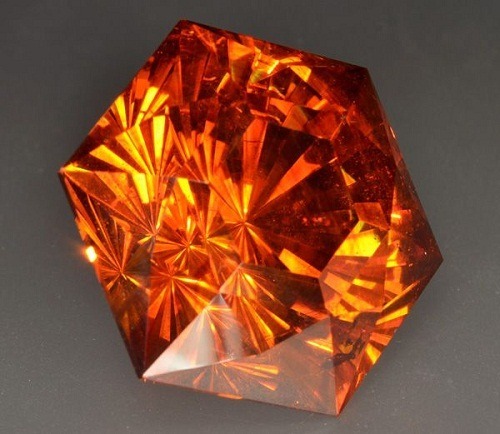 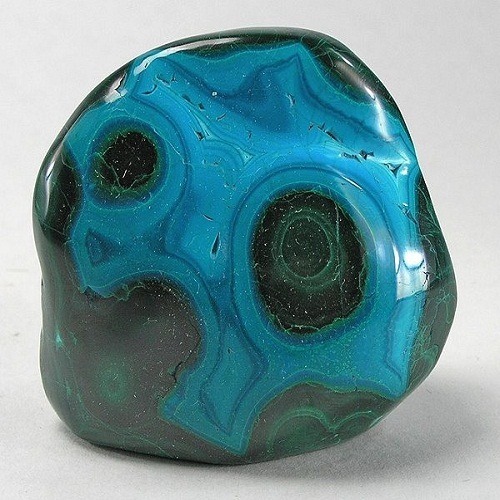 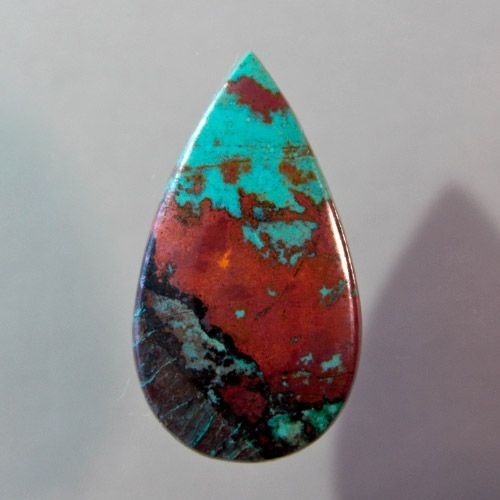 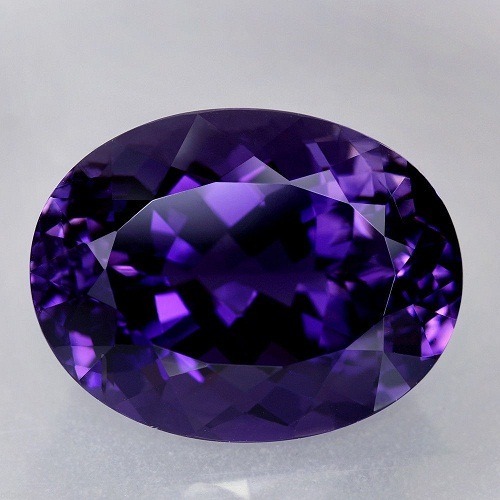 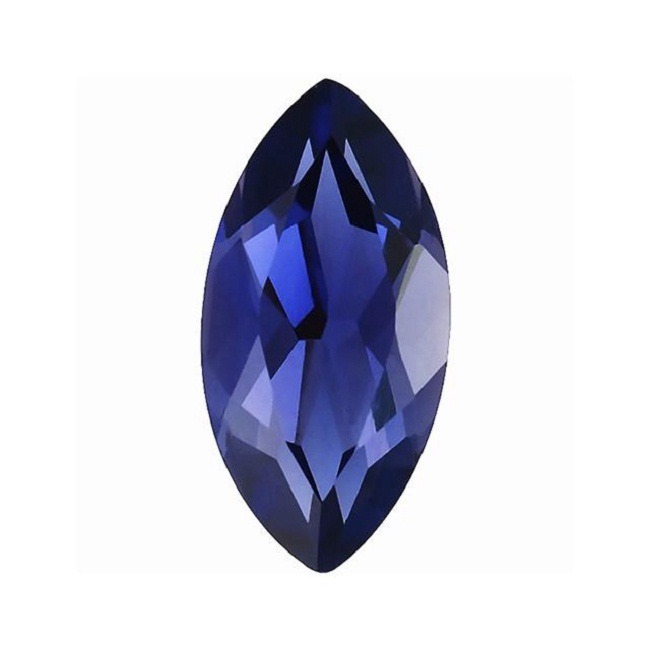 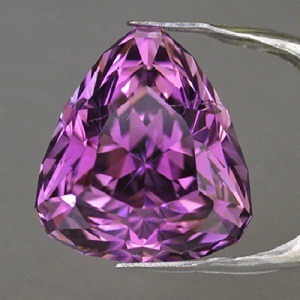 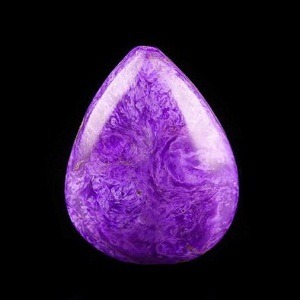 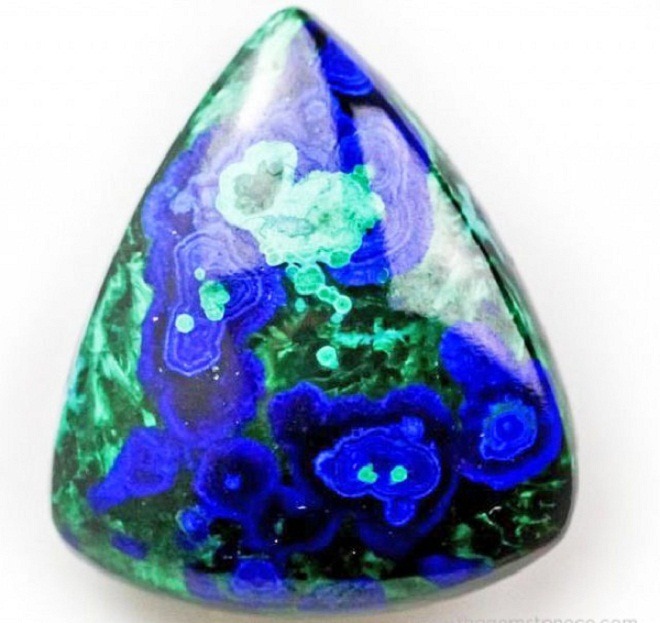 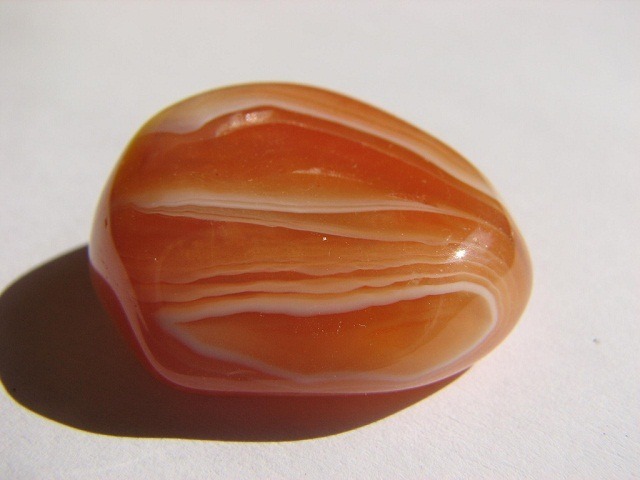 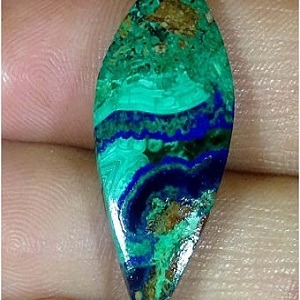 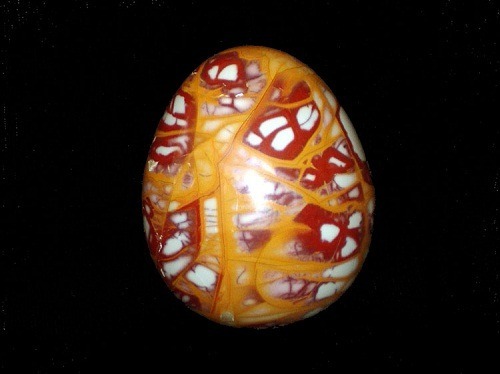 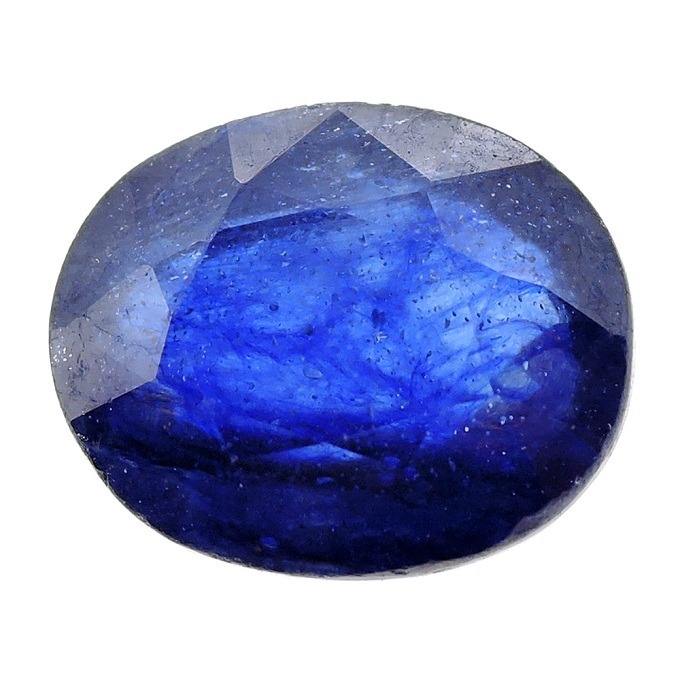 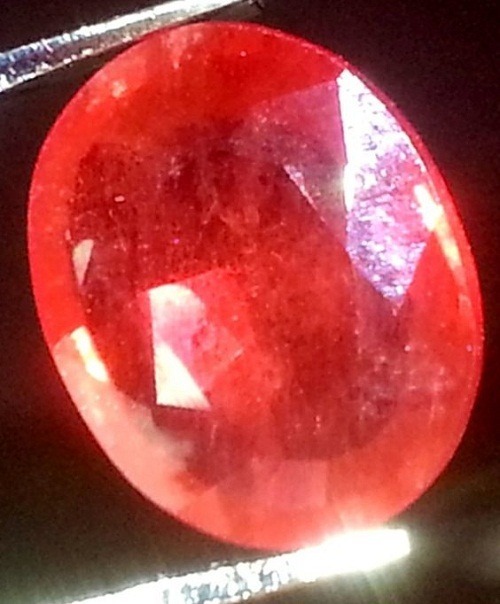 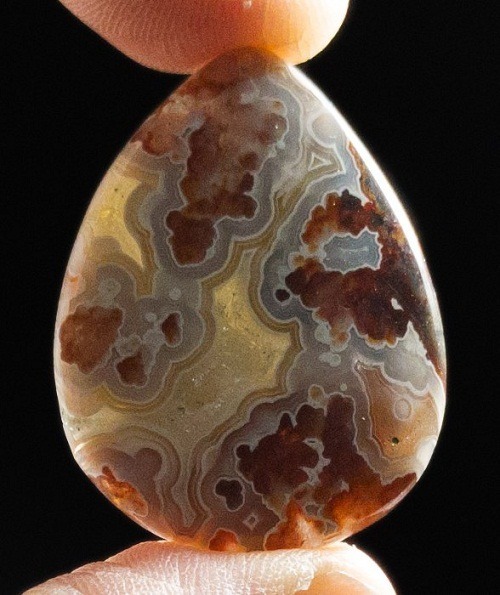 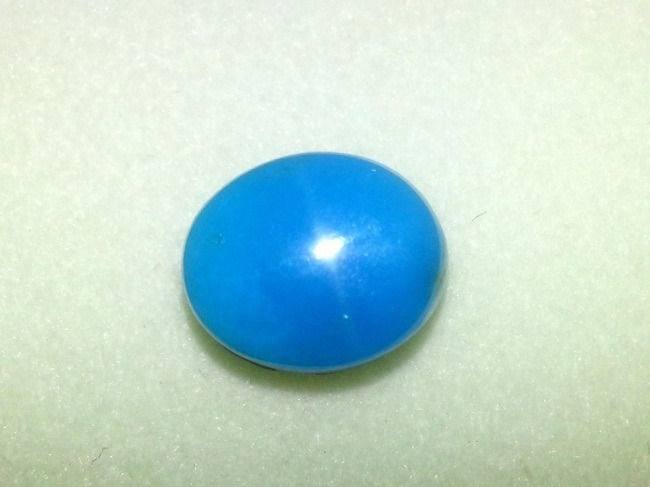 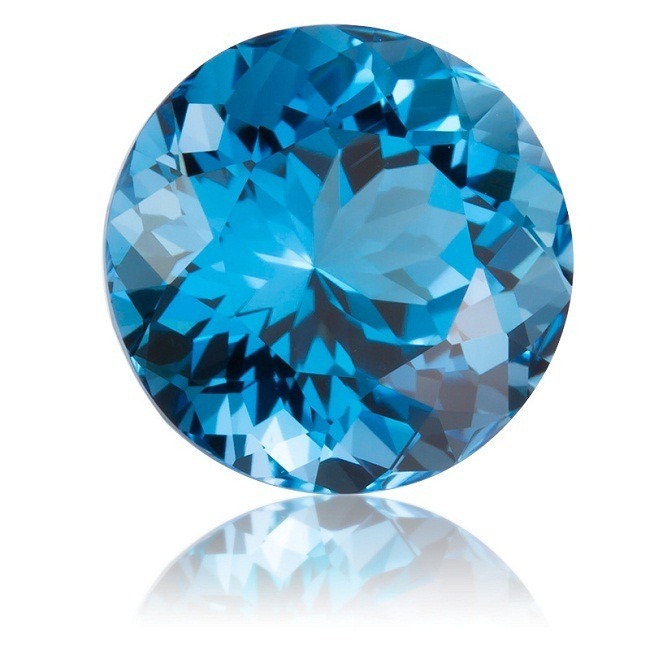 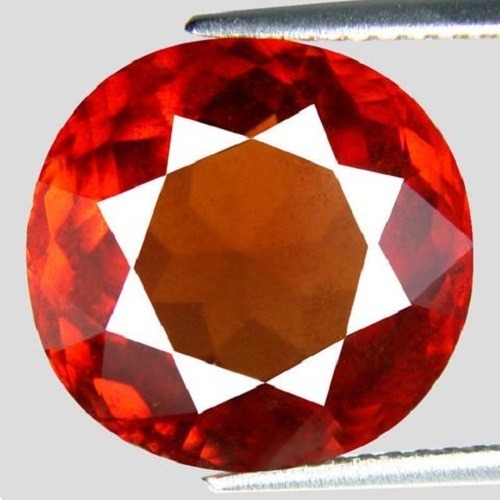 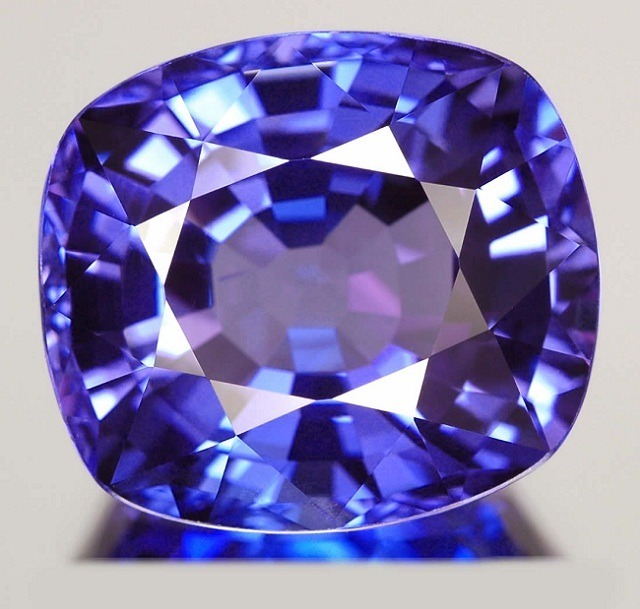 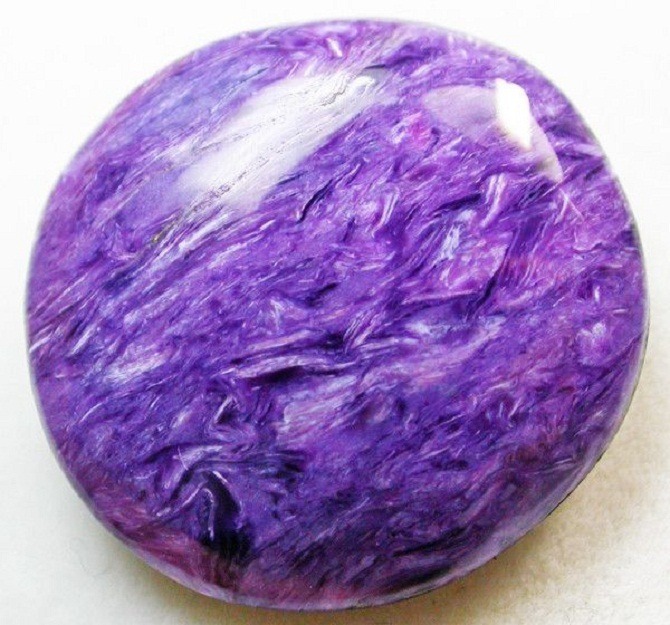 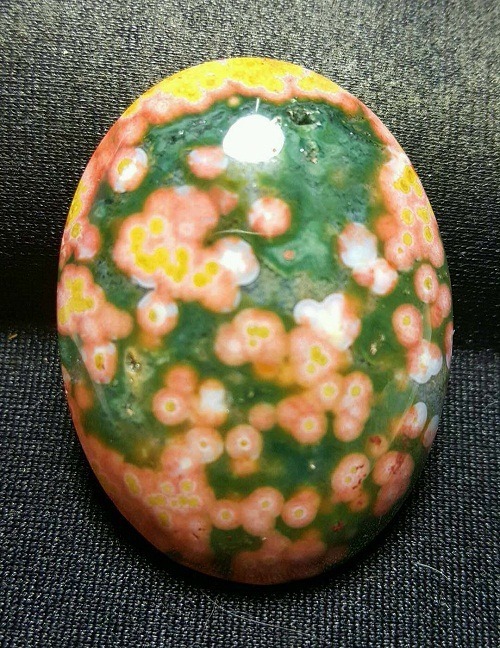 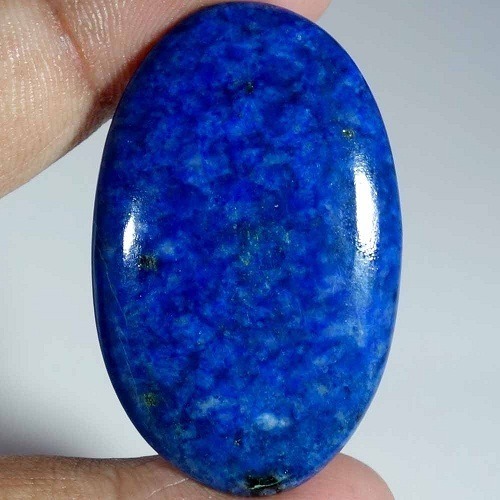 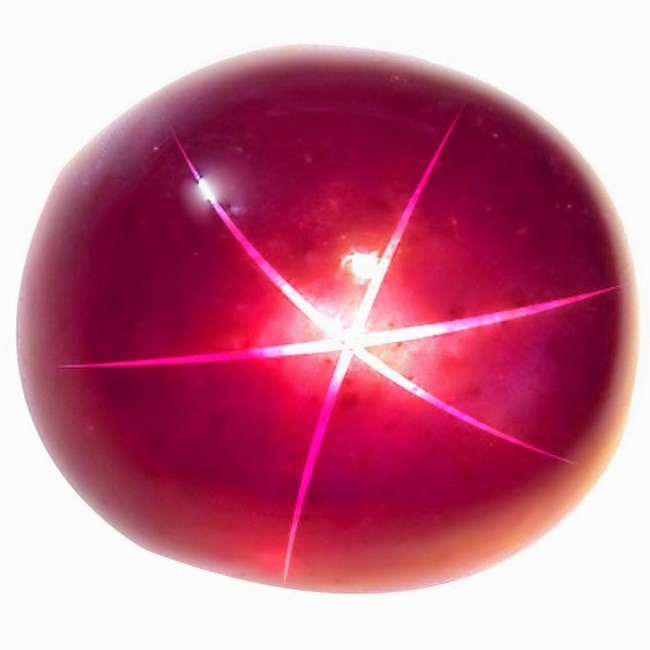 It is the national gemstone of USA. 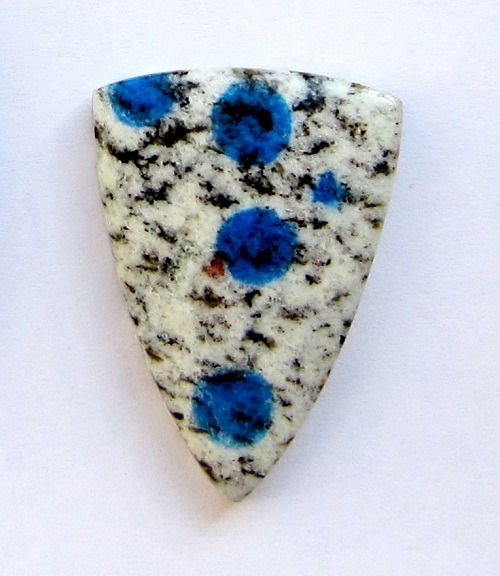 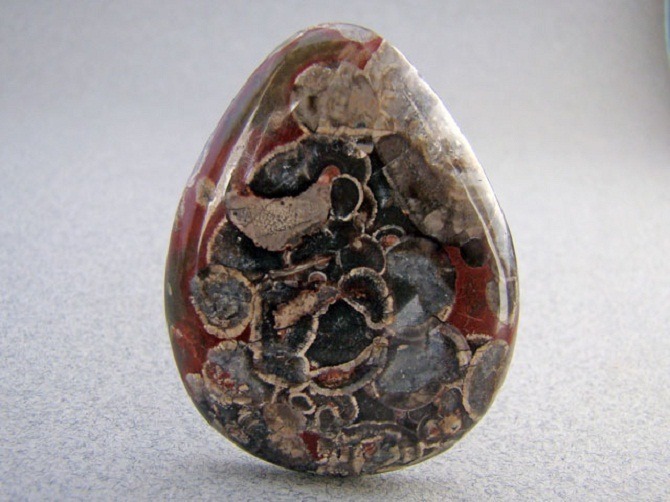 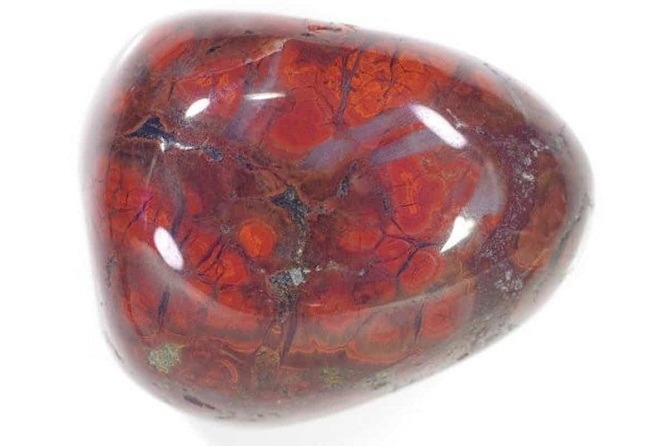 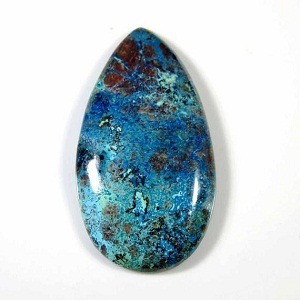 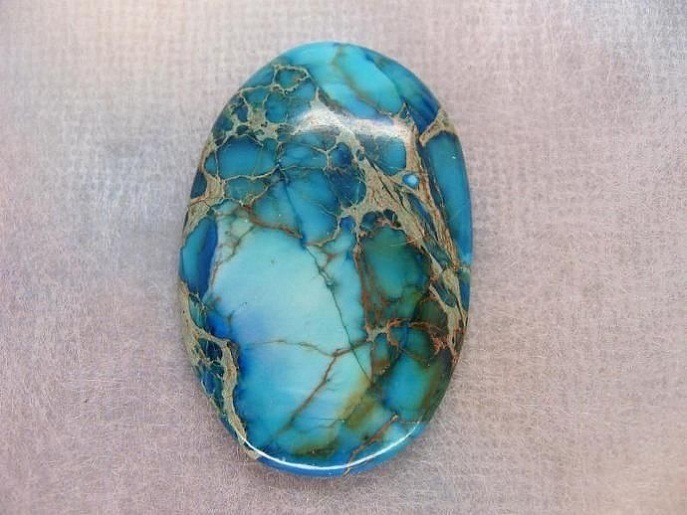 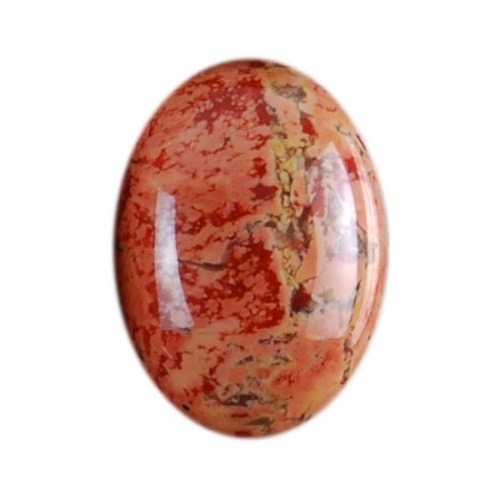 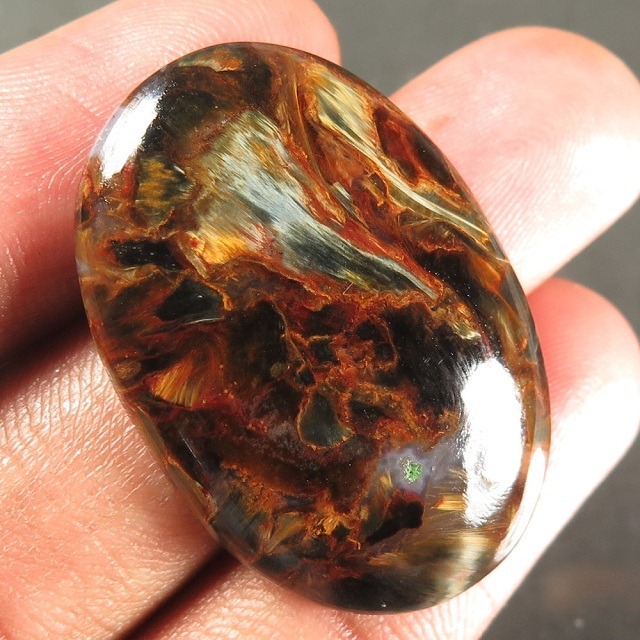 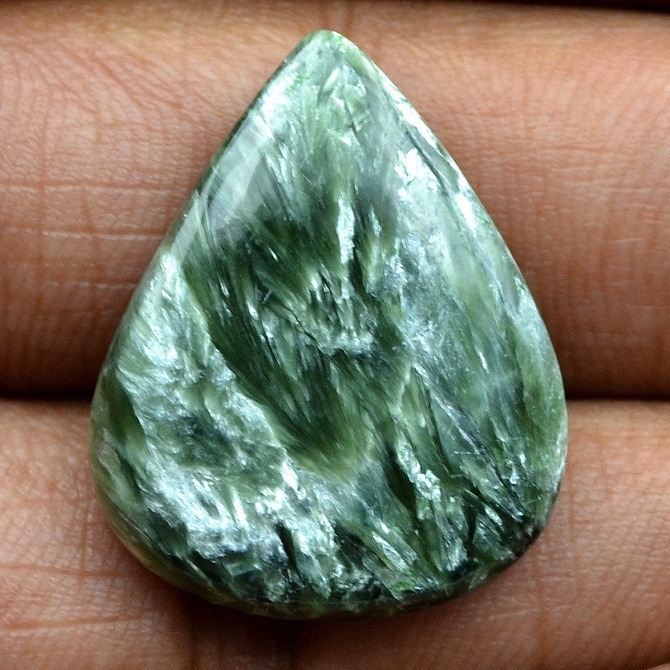 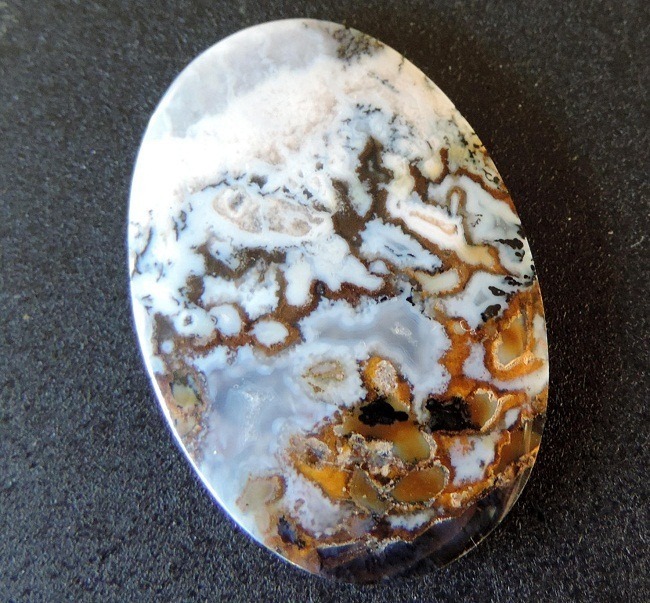 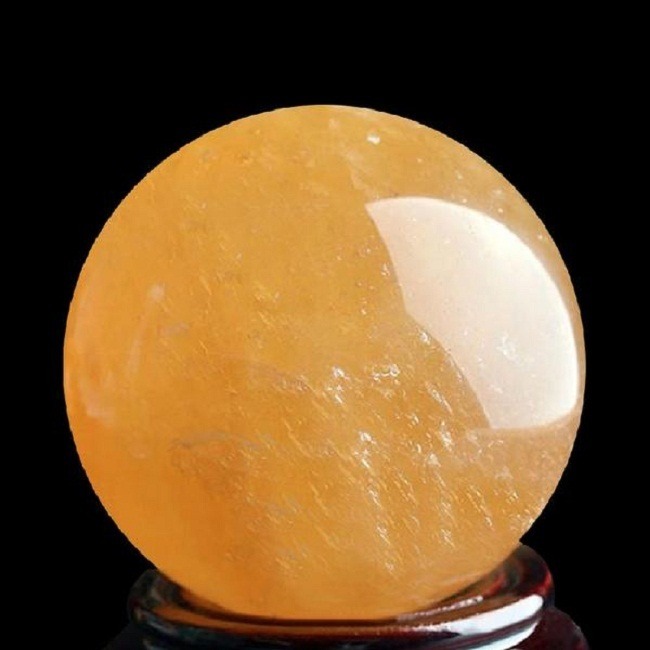 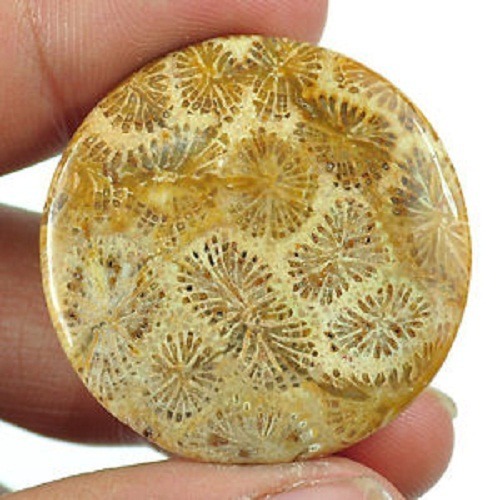 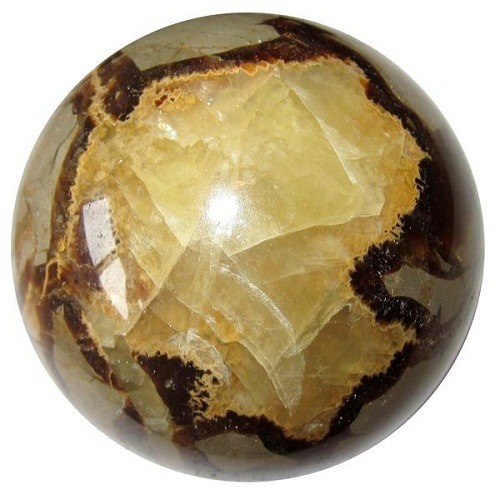 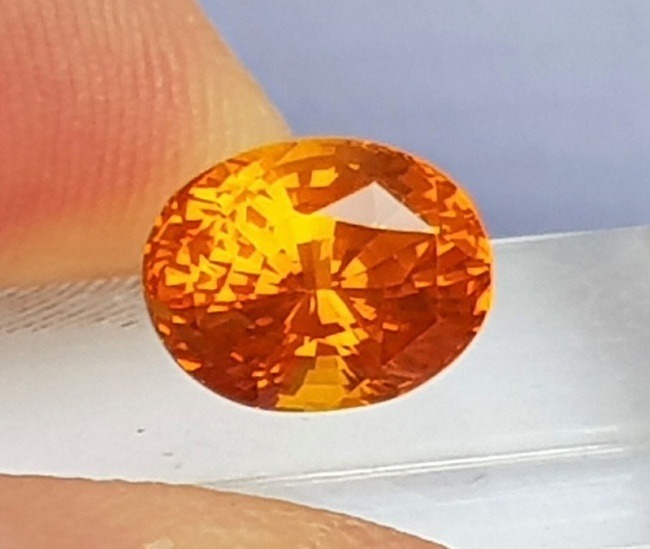 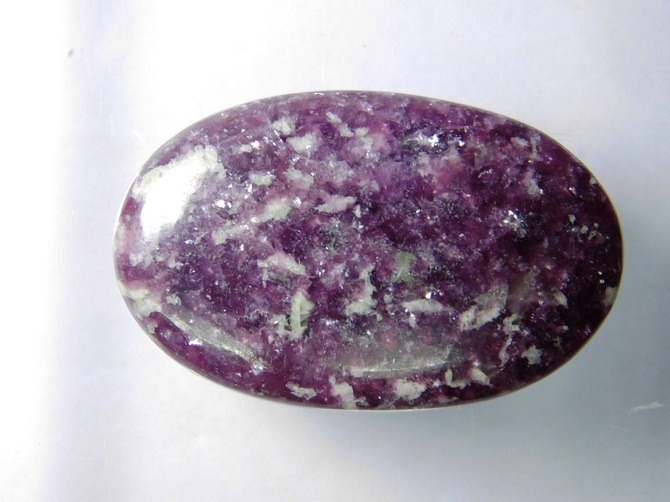 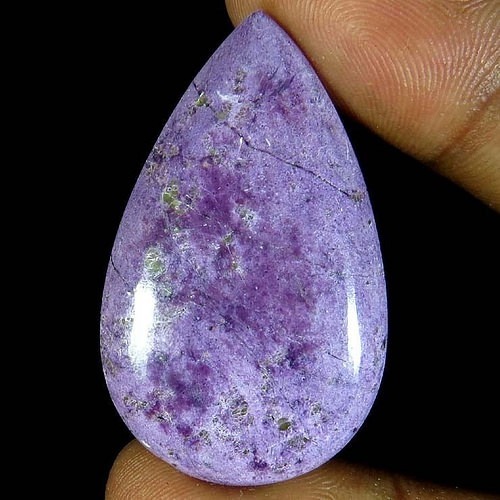 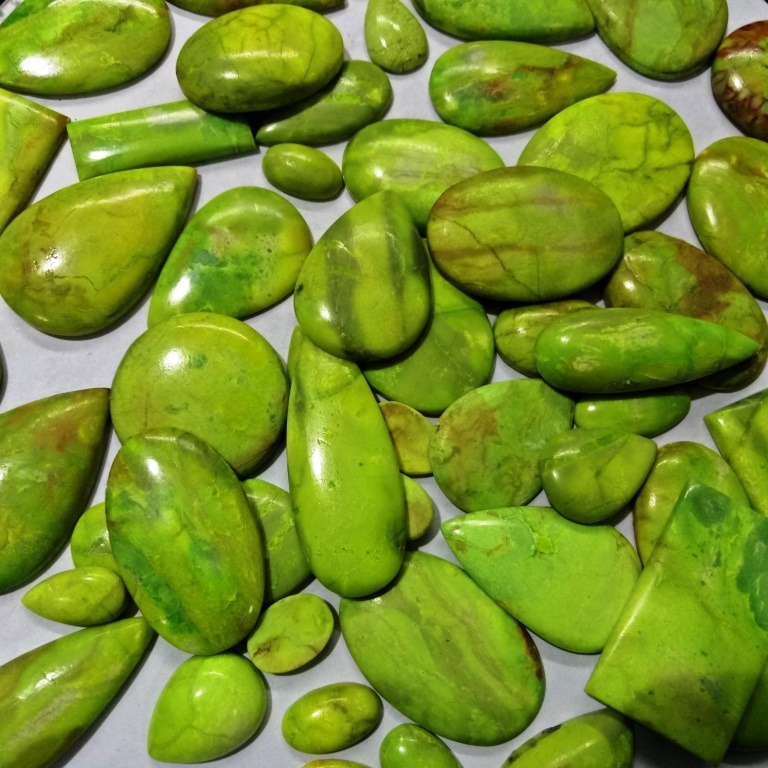 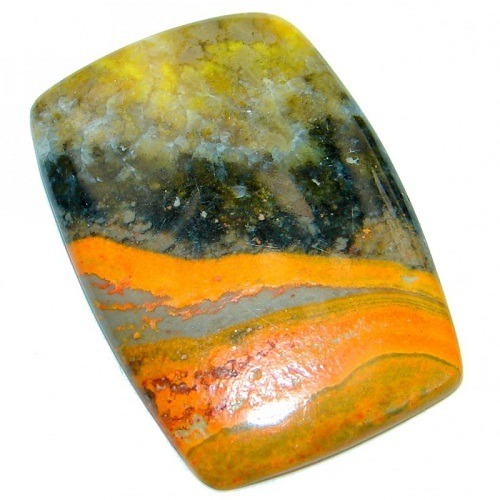 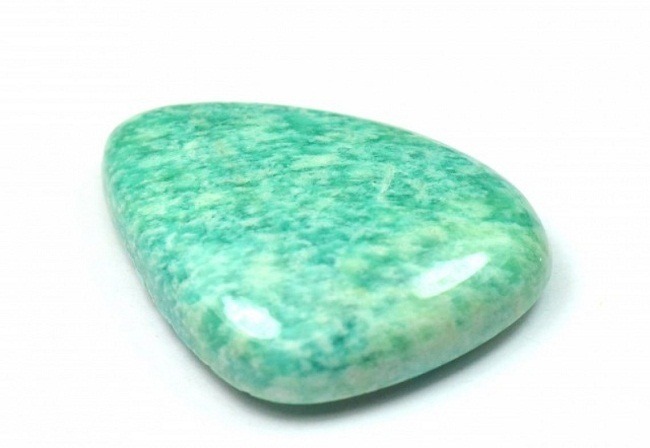 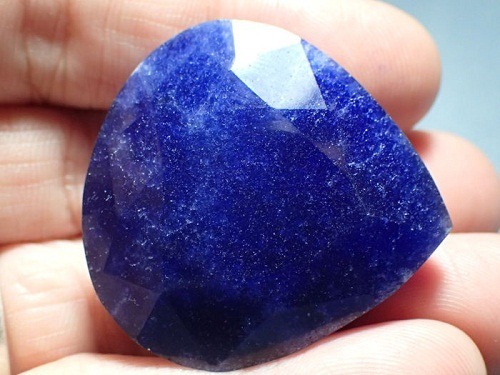 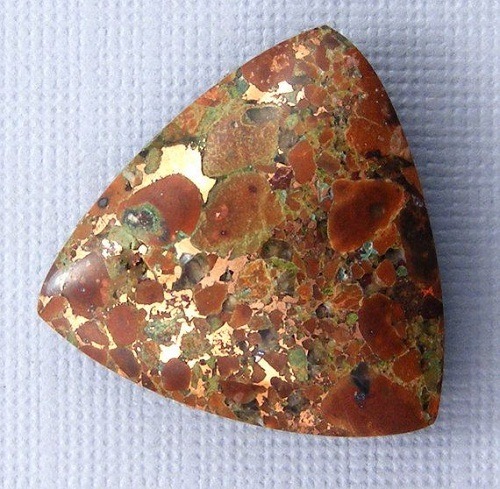 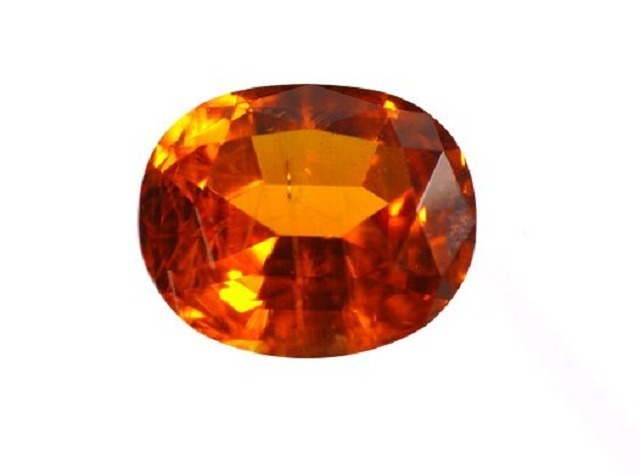 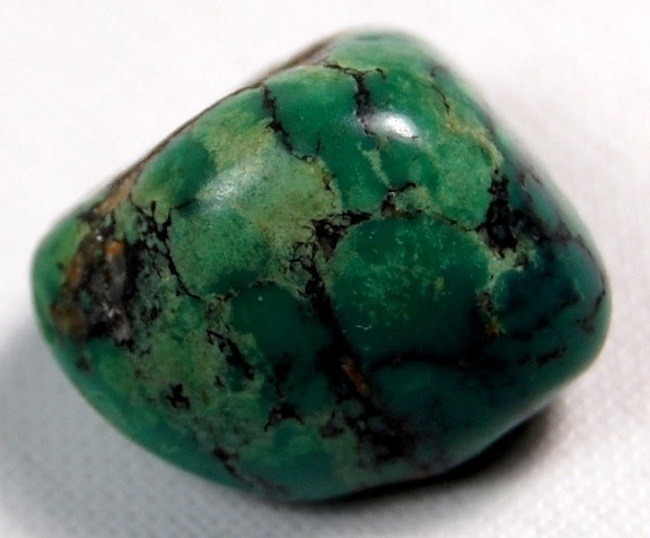 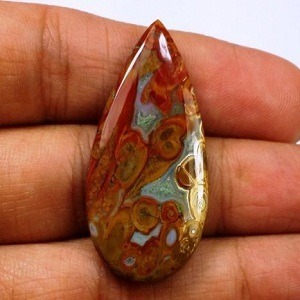 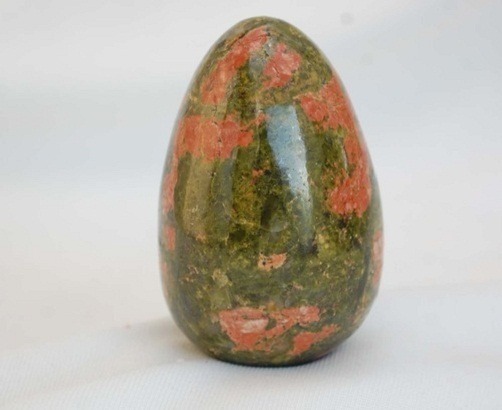 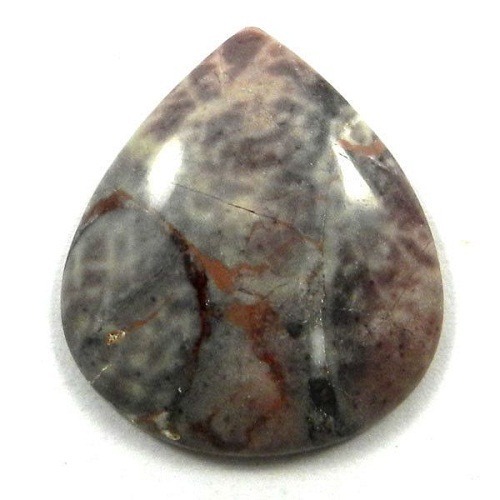 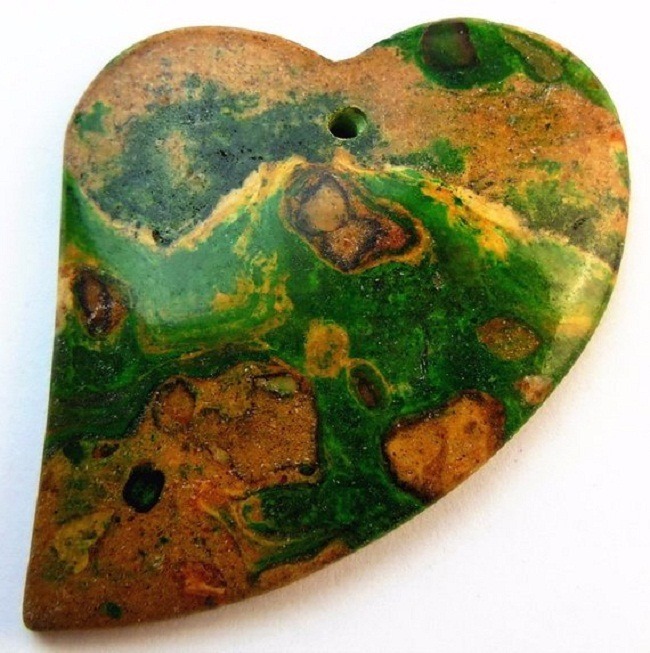 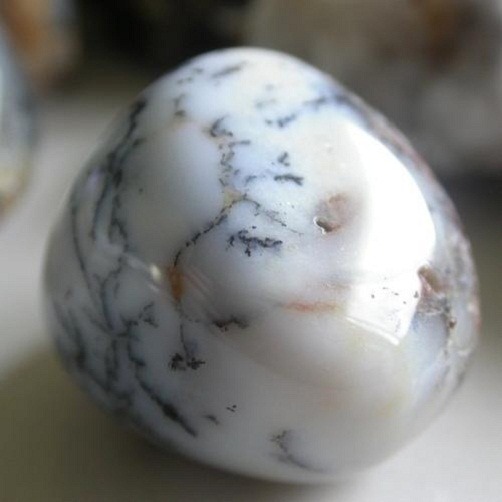 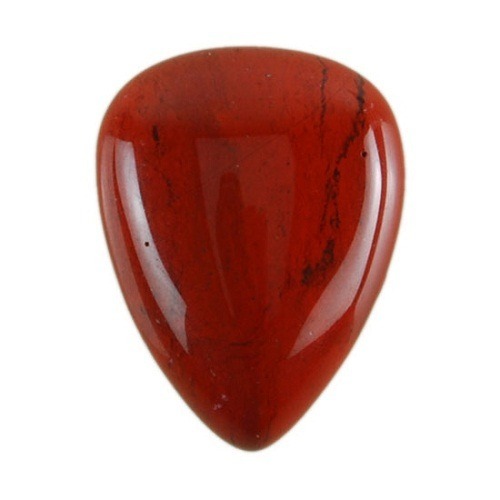 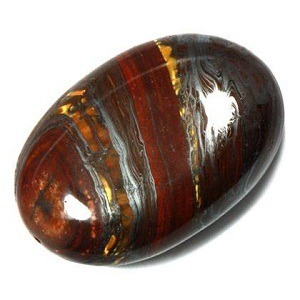 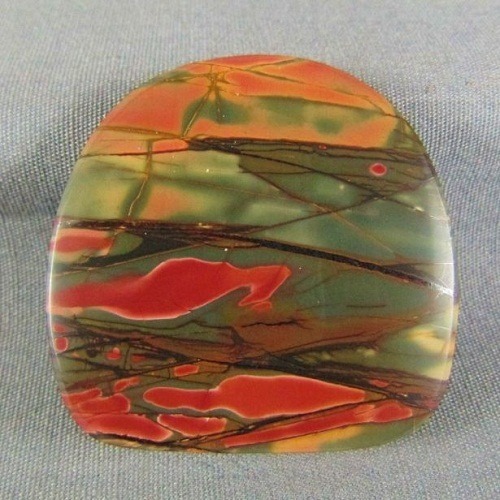 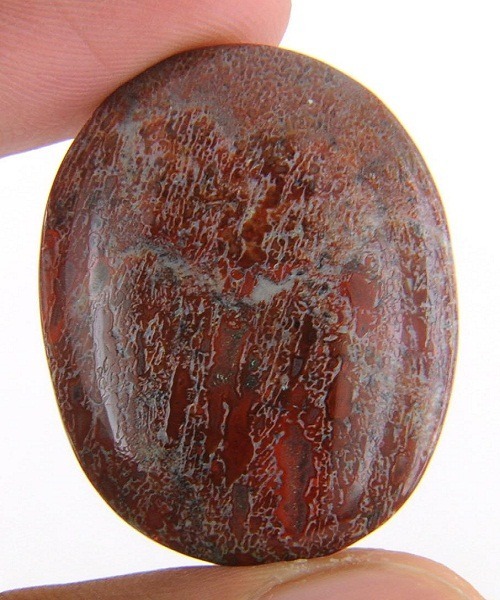 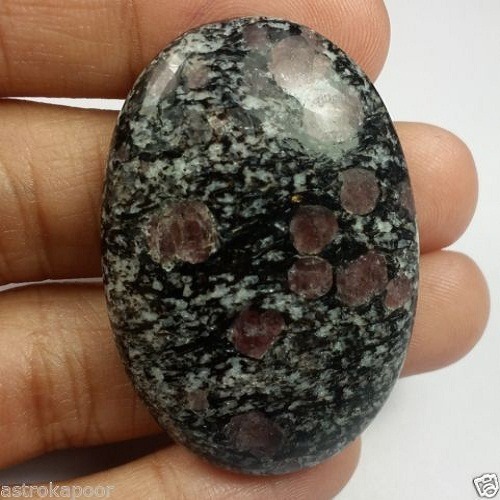 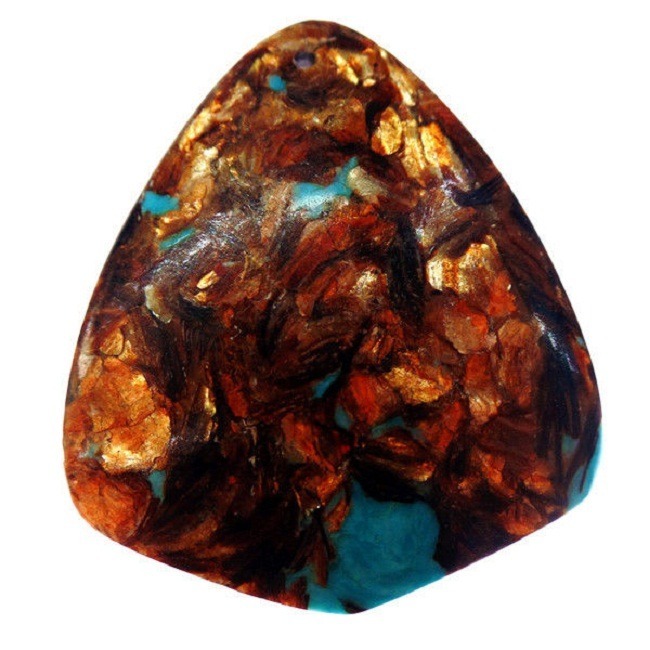 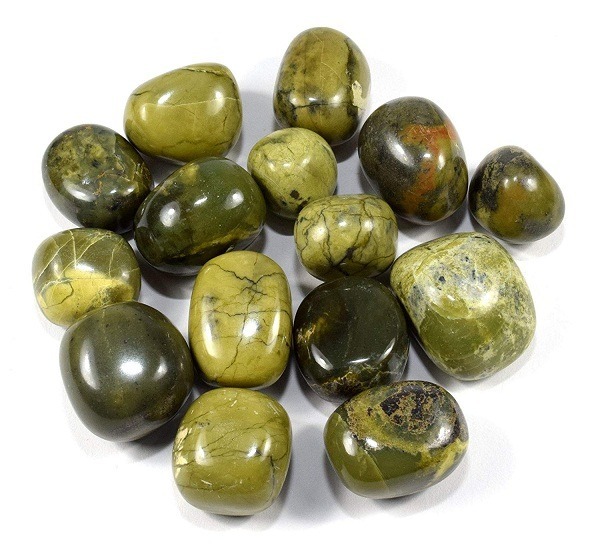 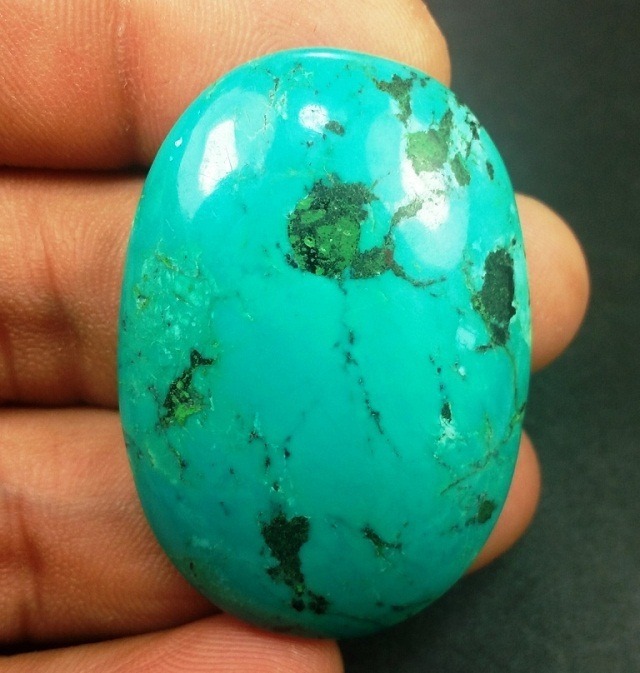 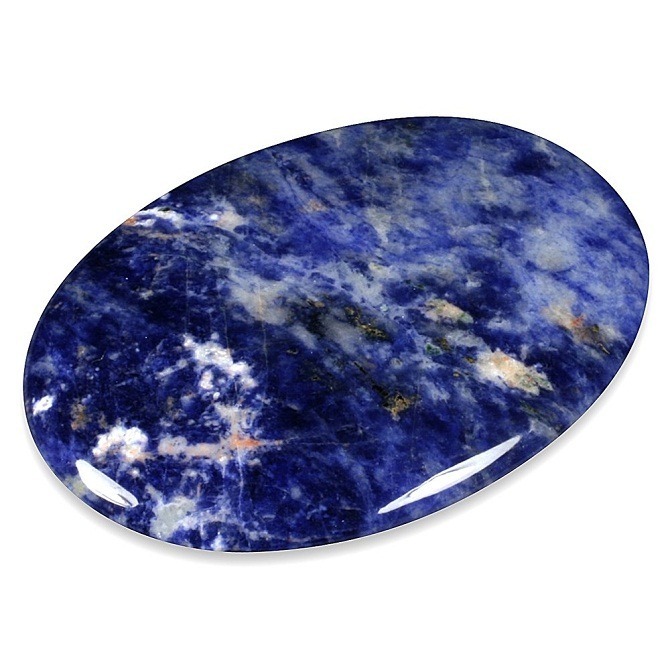 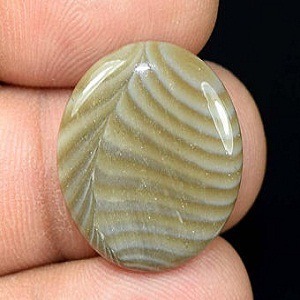 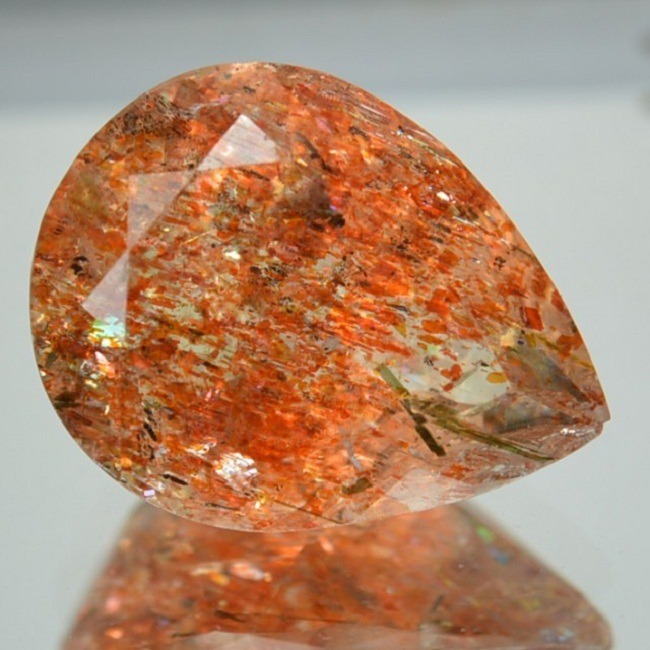 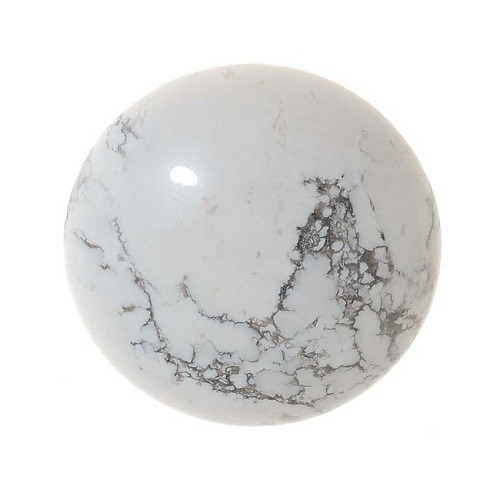 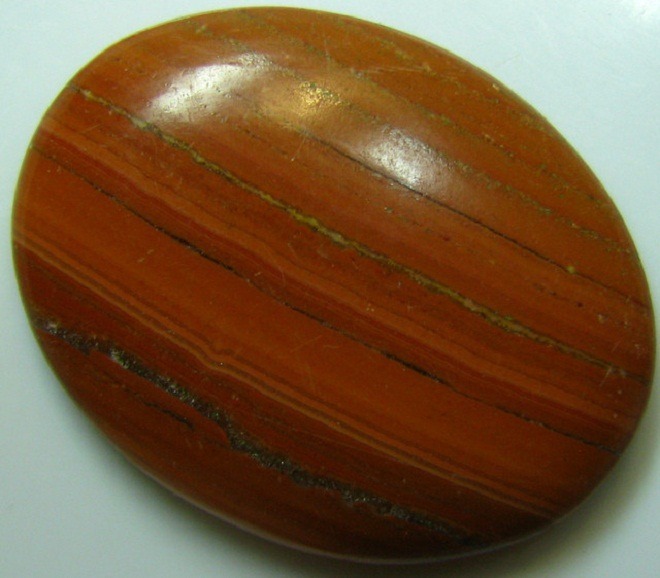 The main source of this stone is India, Pakistan, Madagascar, Zambia, Zimbabwe, Tanzania, Zaire and Zambia. 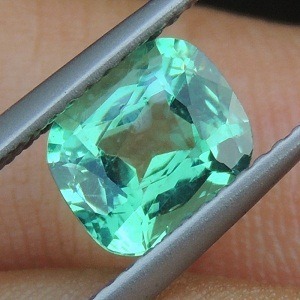 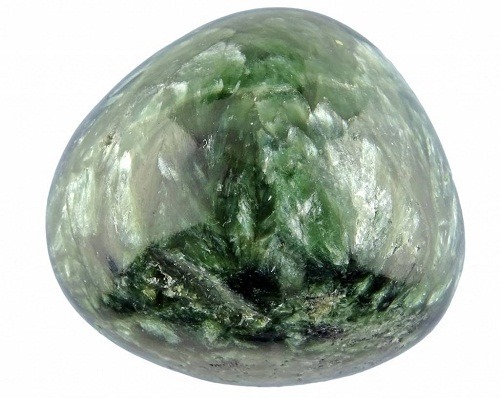 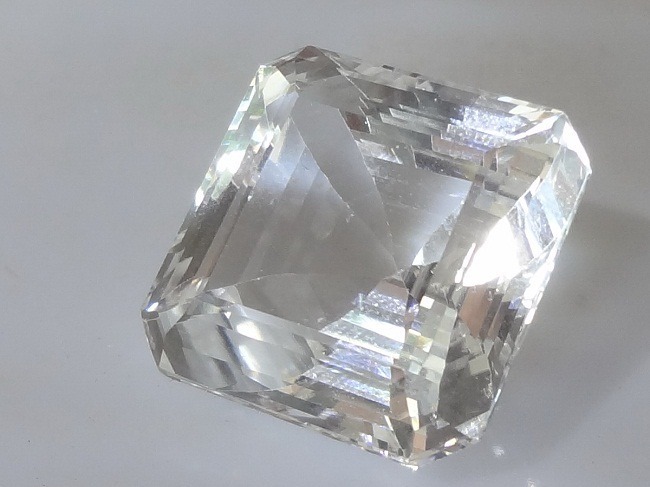 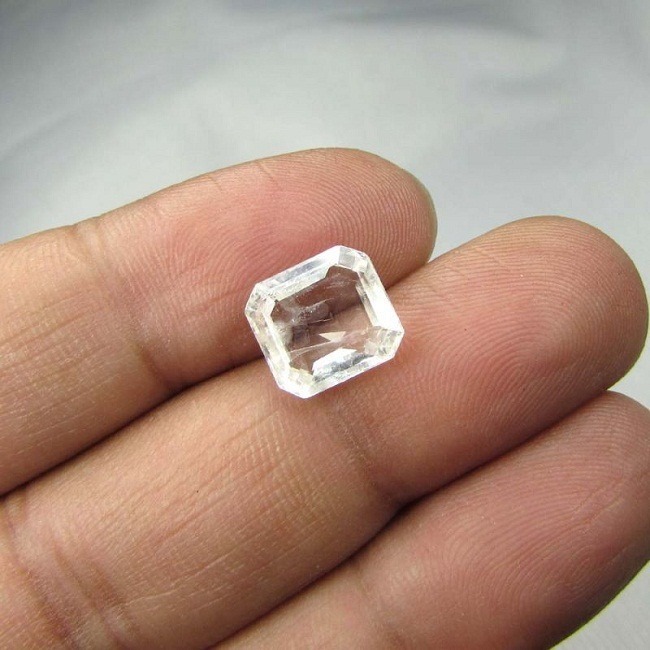 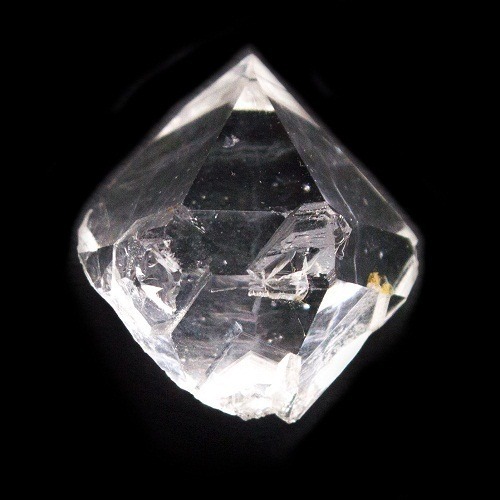 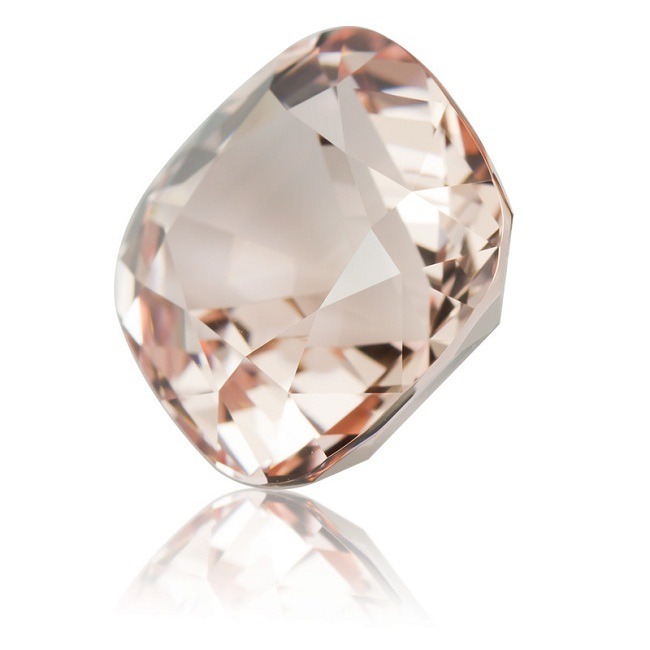 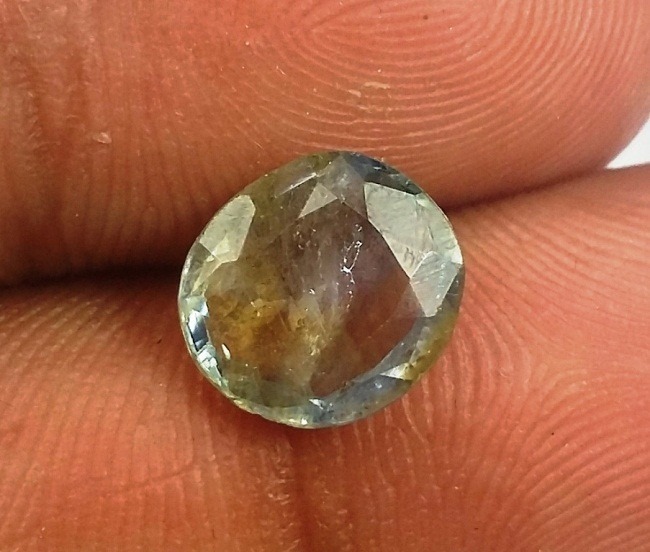 Clarity and luster – Tourmaline is transparent to translucent in appearance. 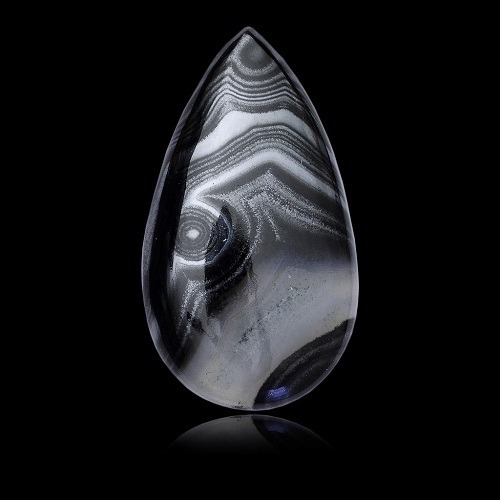 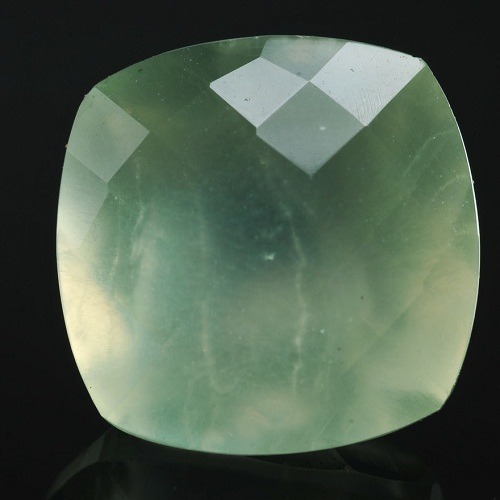 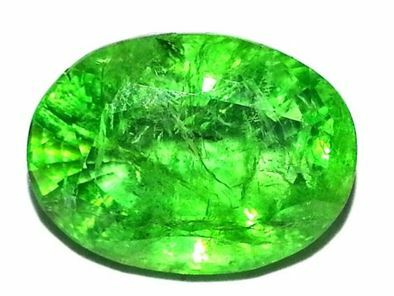 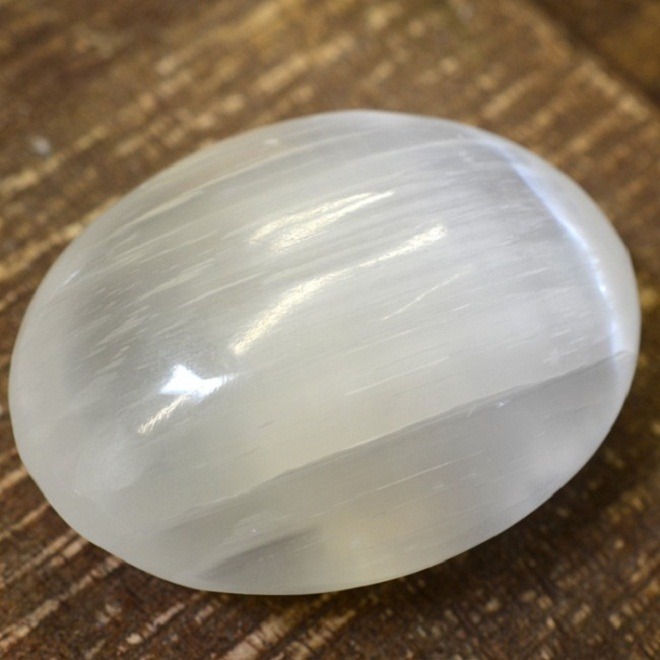 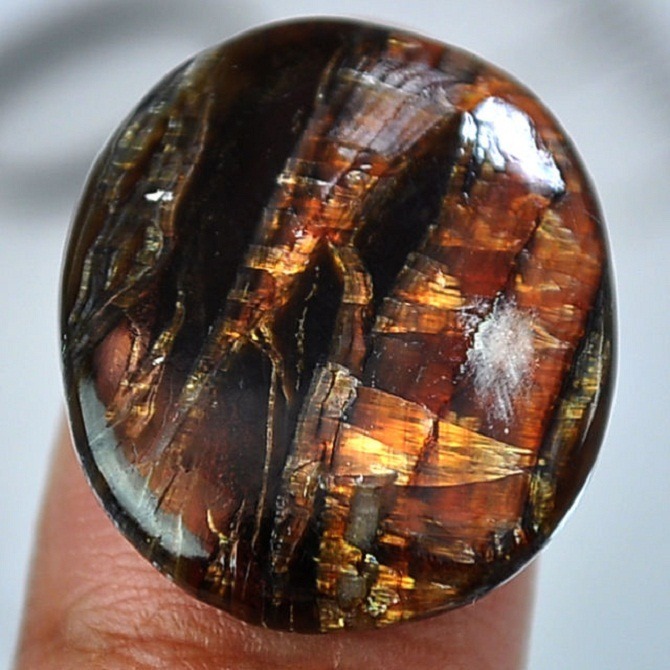 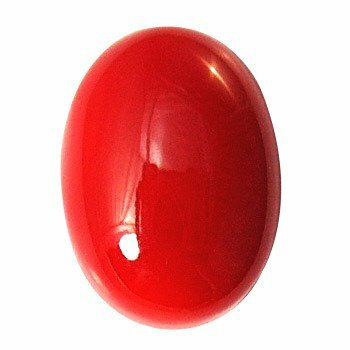 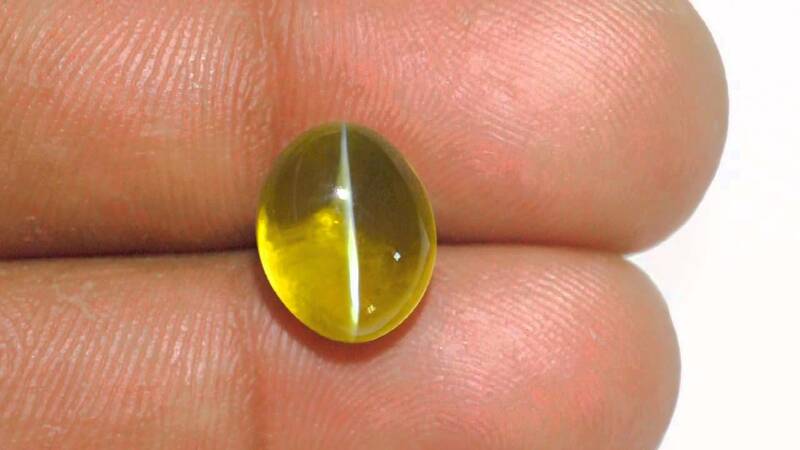 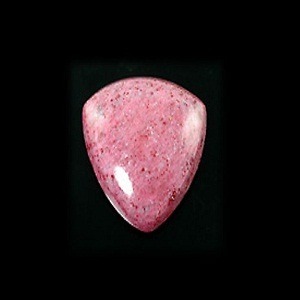 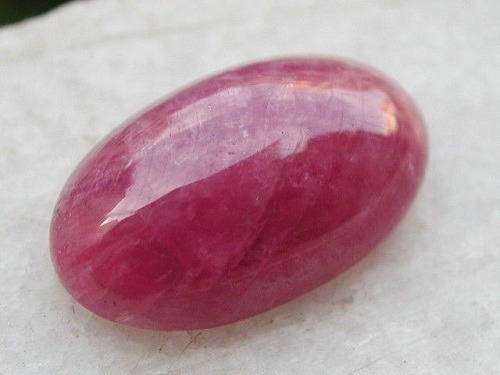 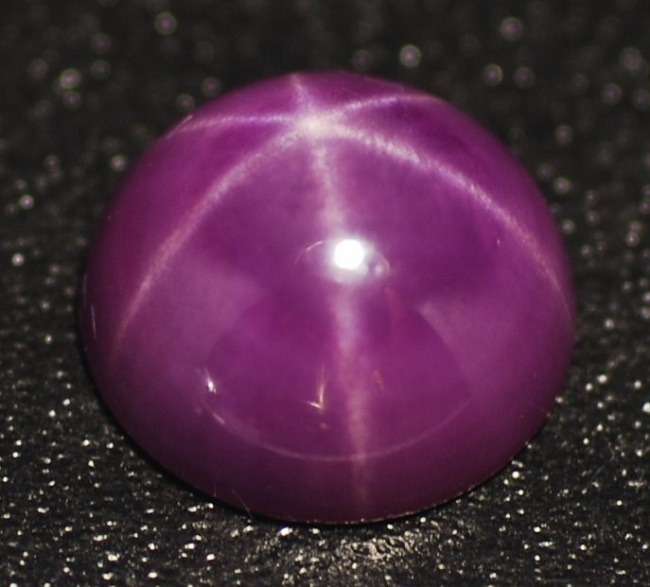 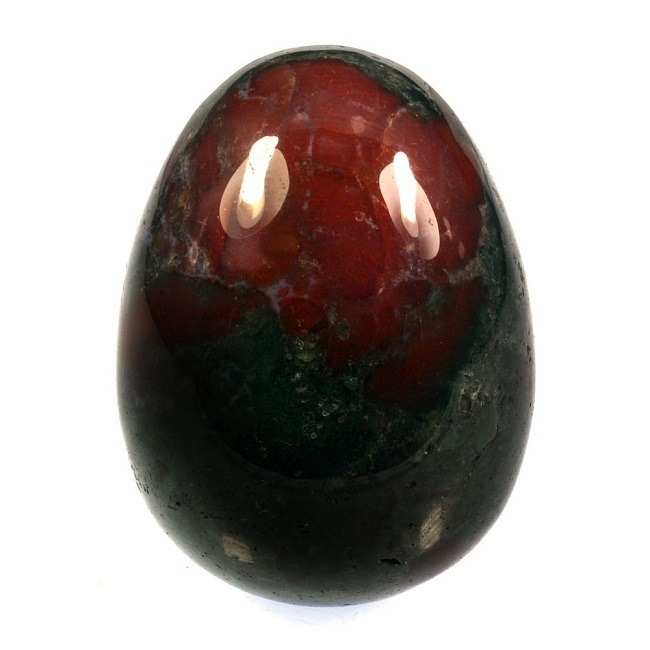 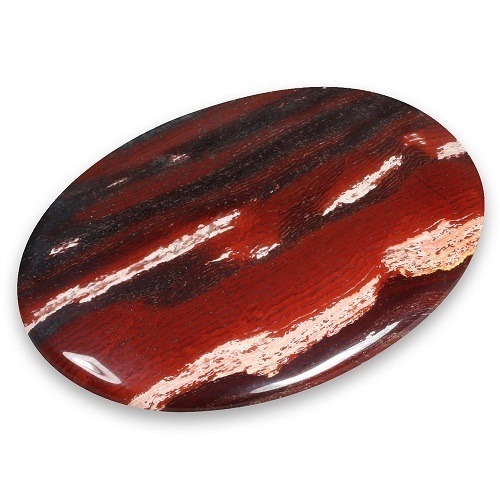 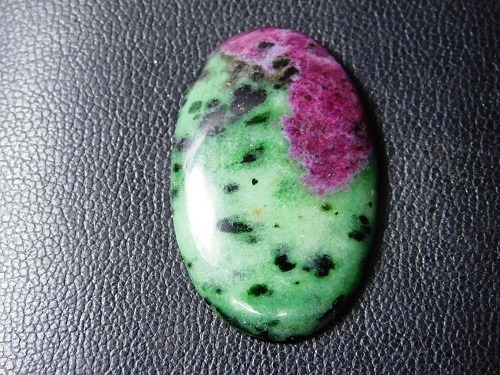 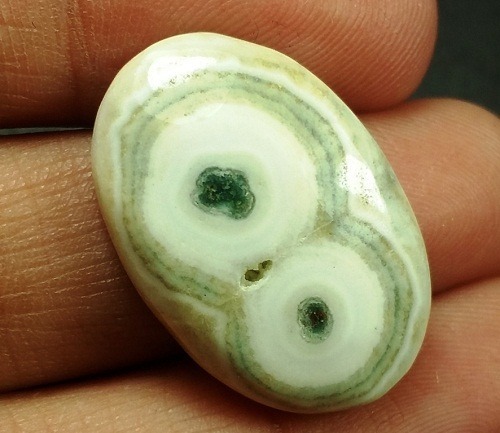 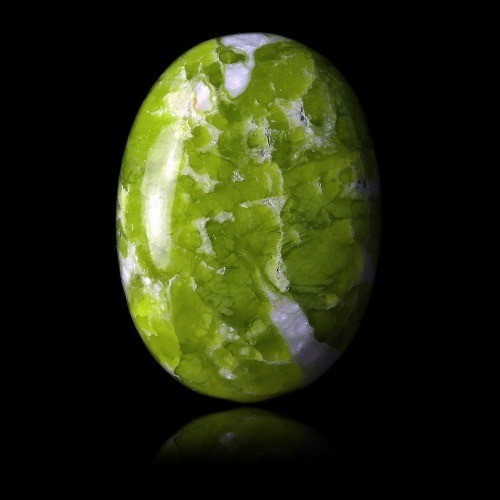 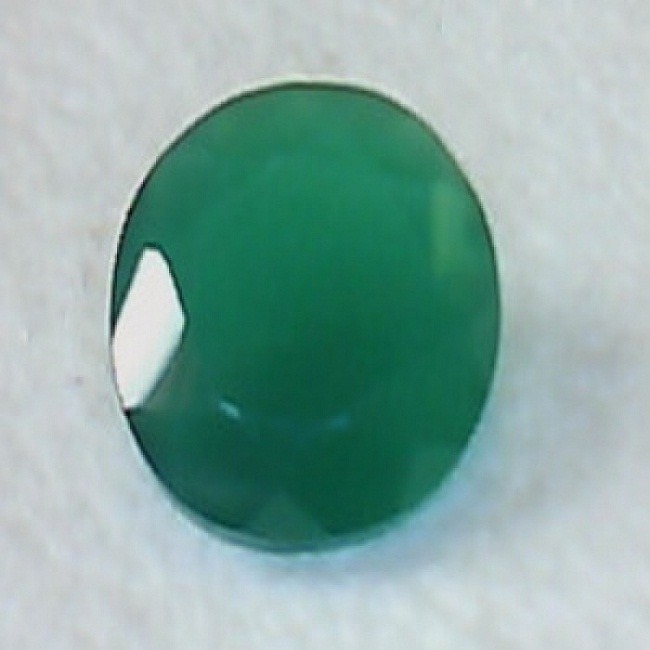 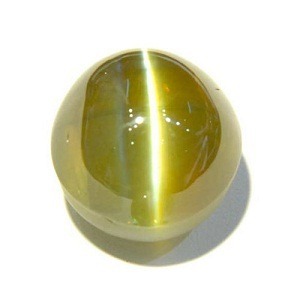 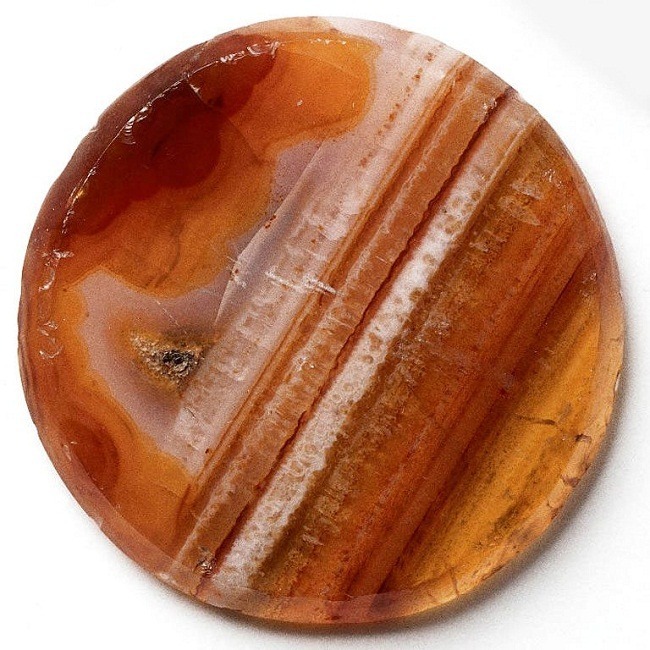 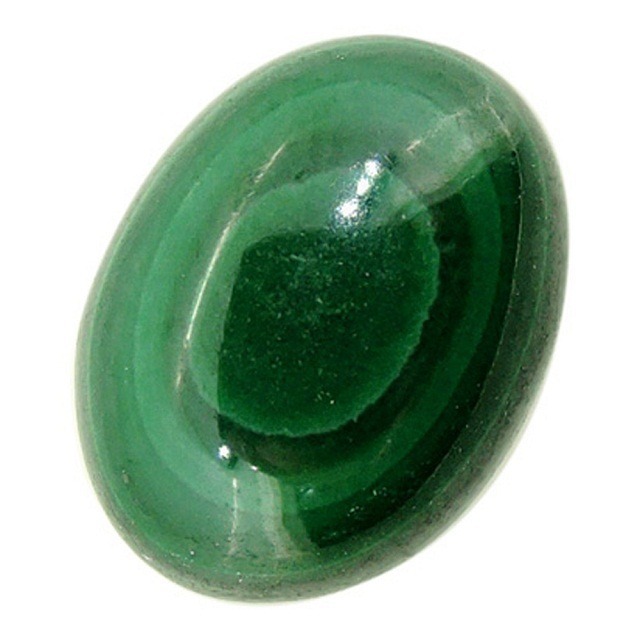 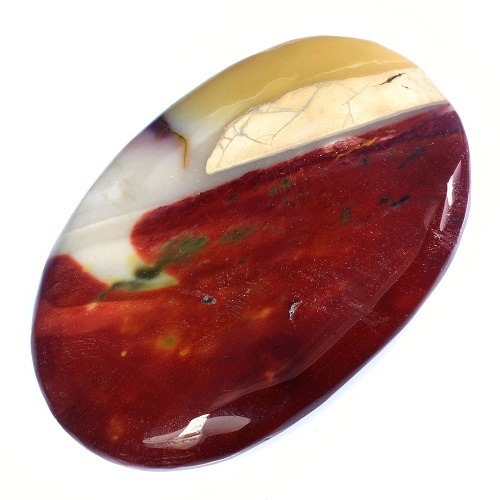 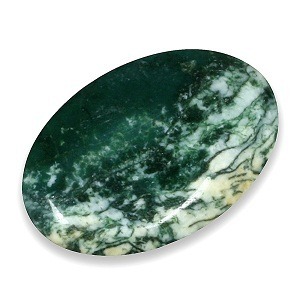 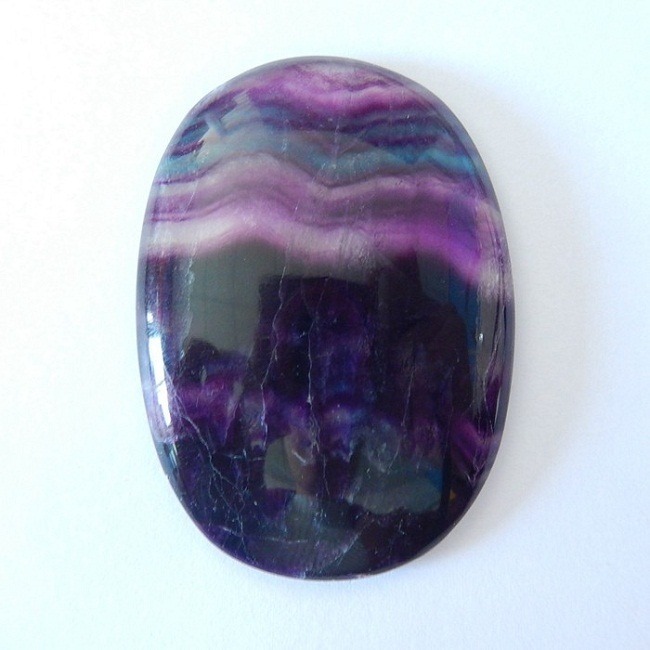 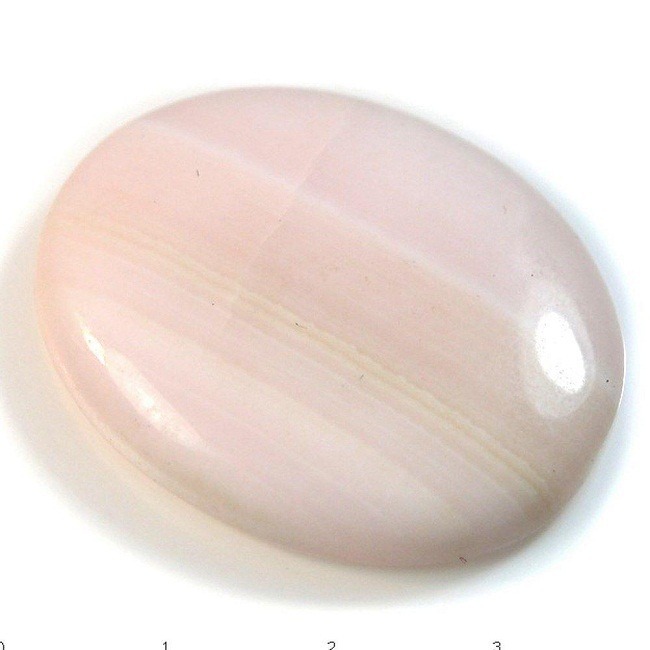 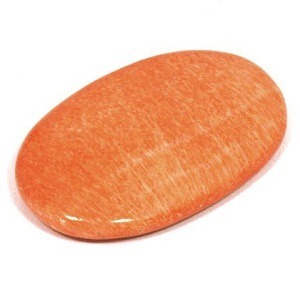 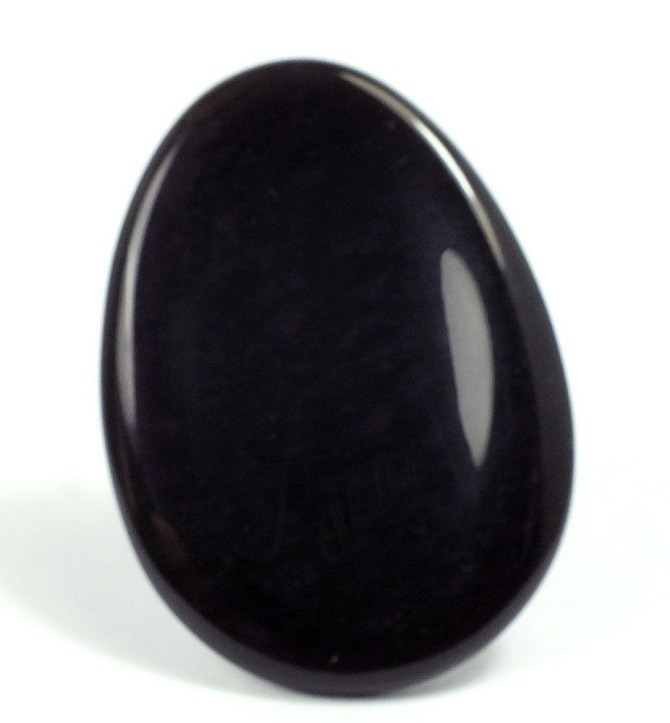 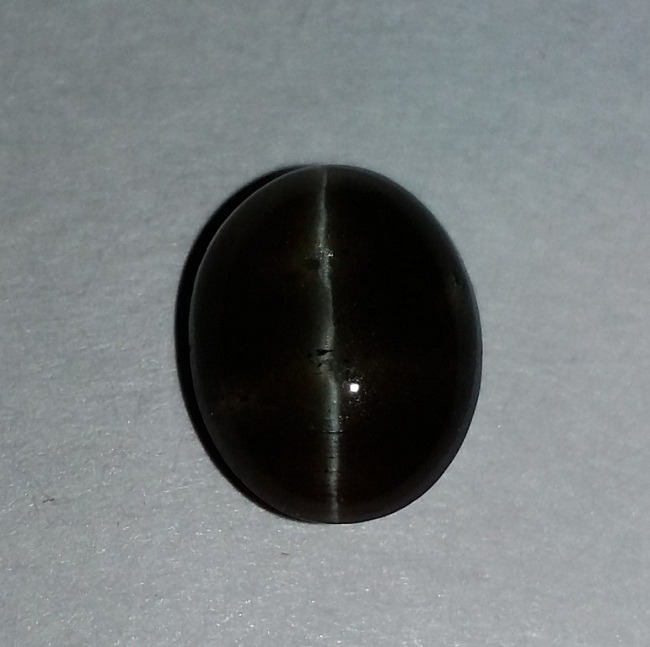 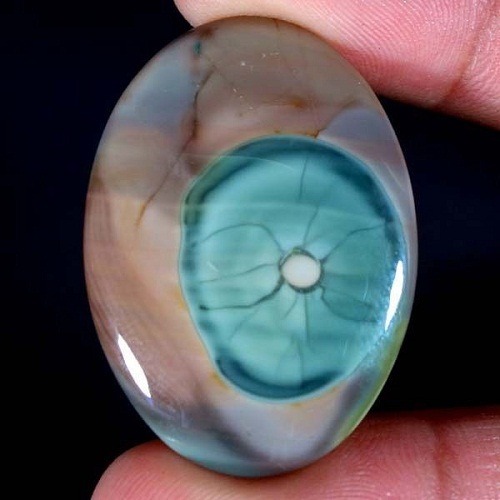 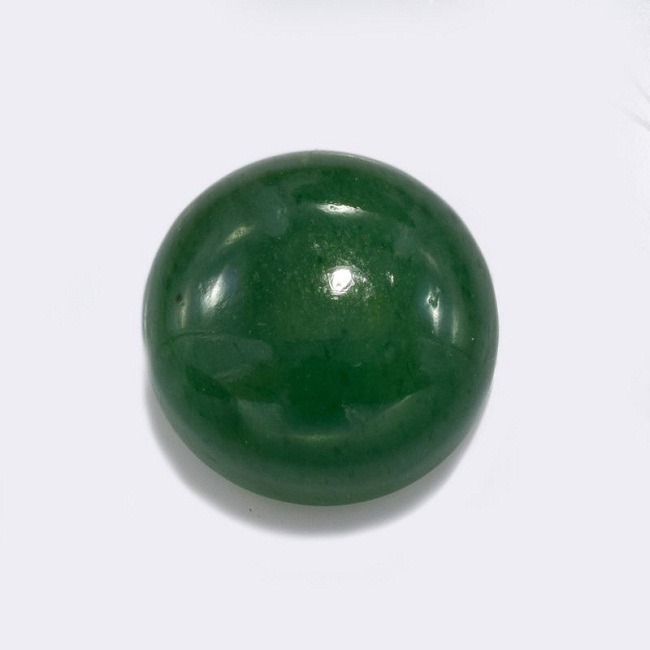 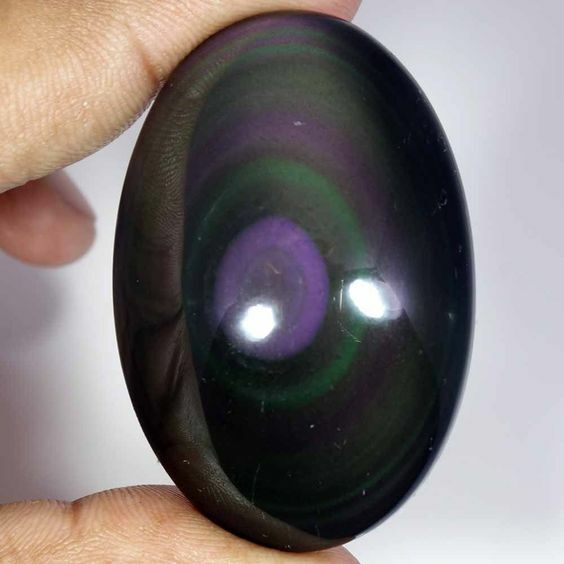 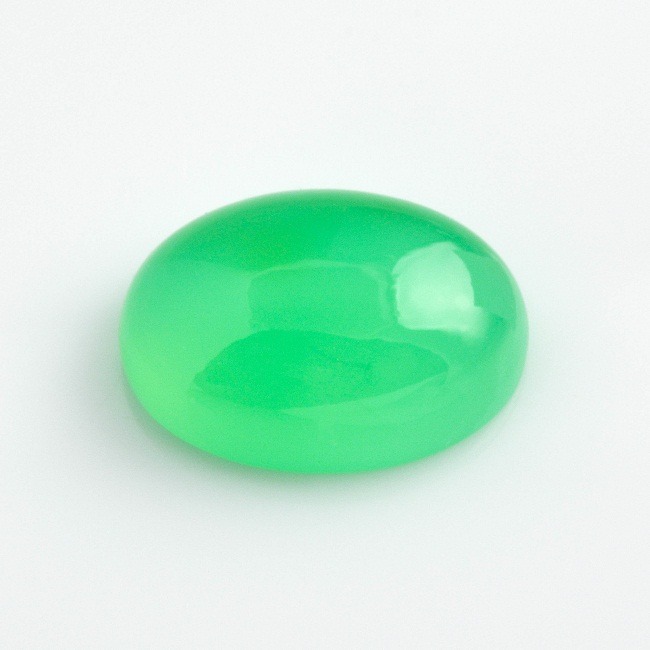 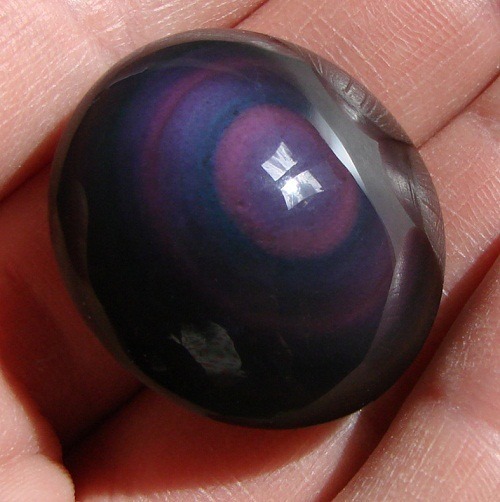 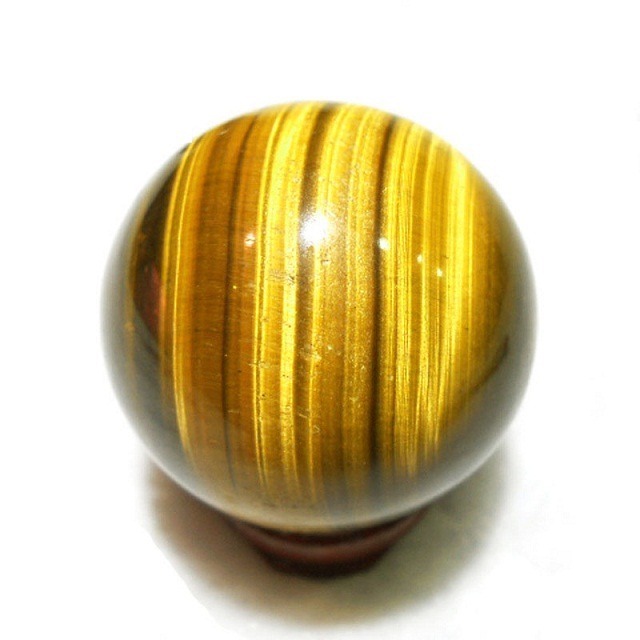 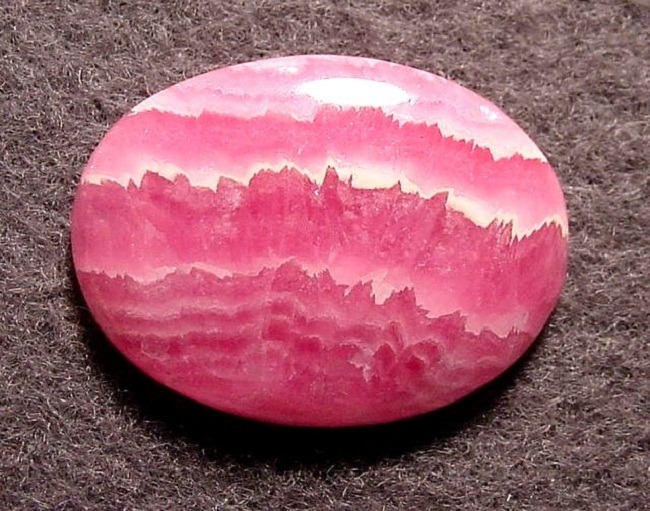 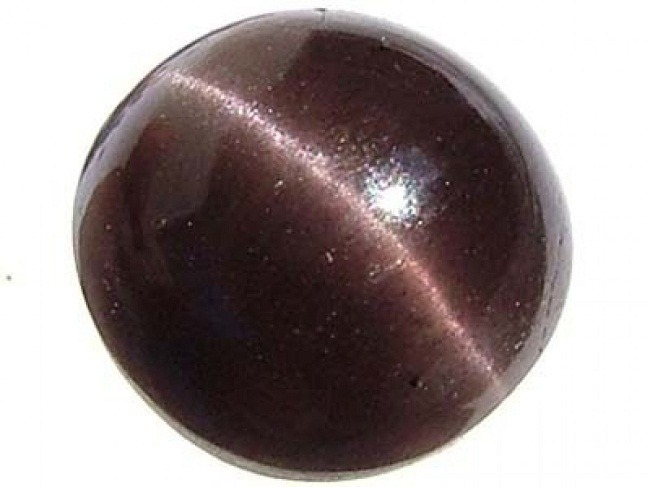 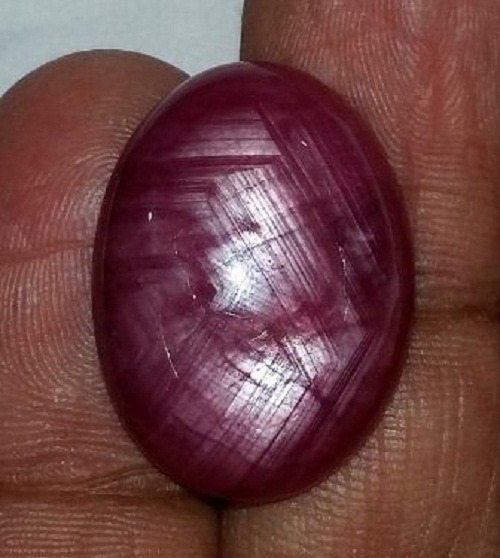 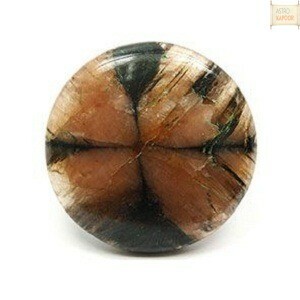 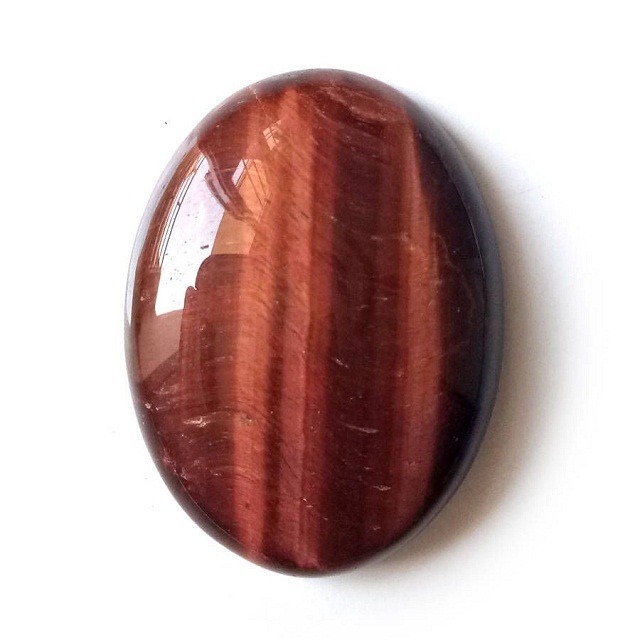 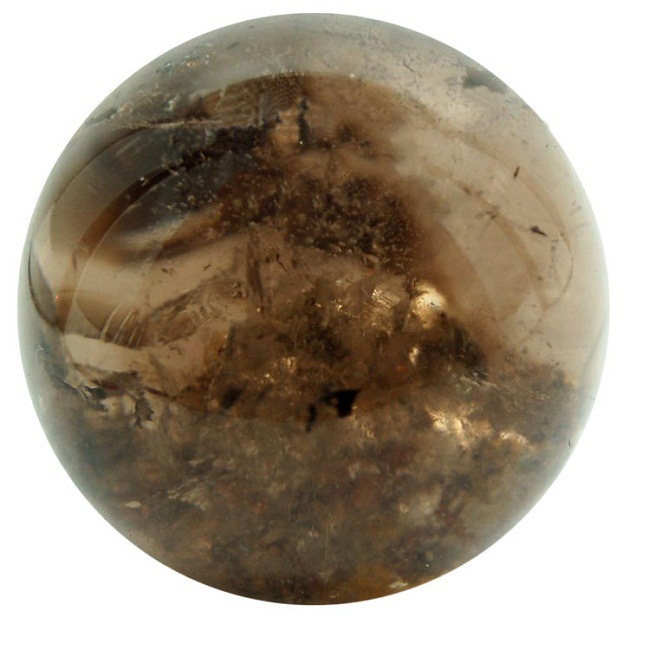 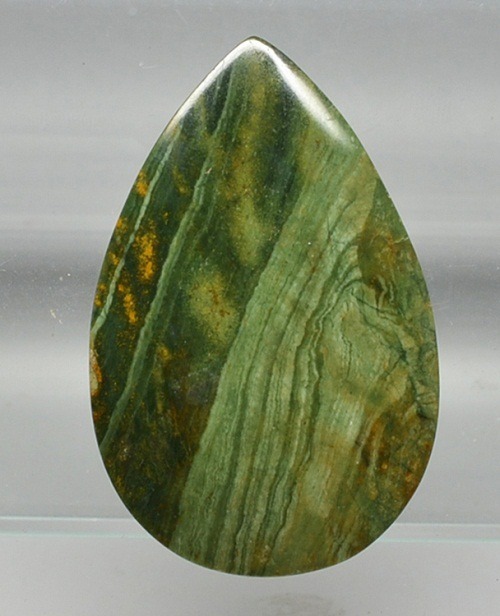 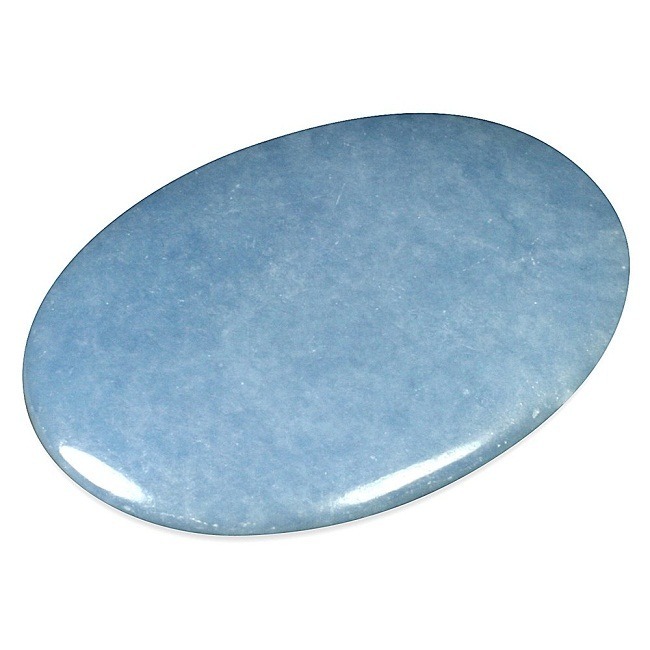 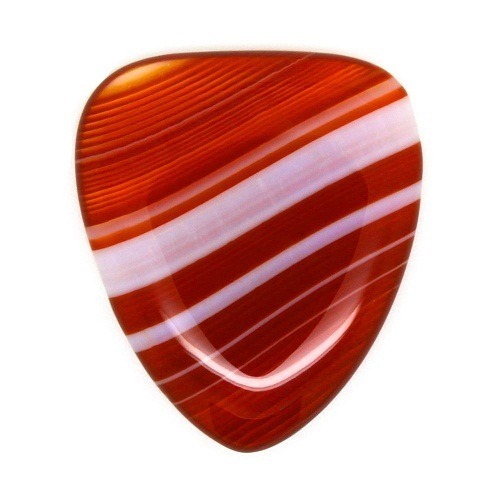 Cat’s eye tourmaline is opaque in appearance. 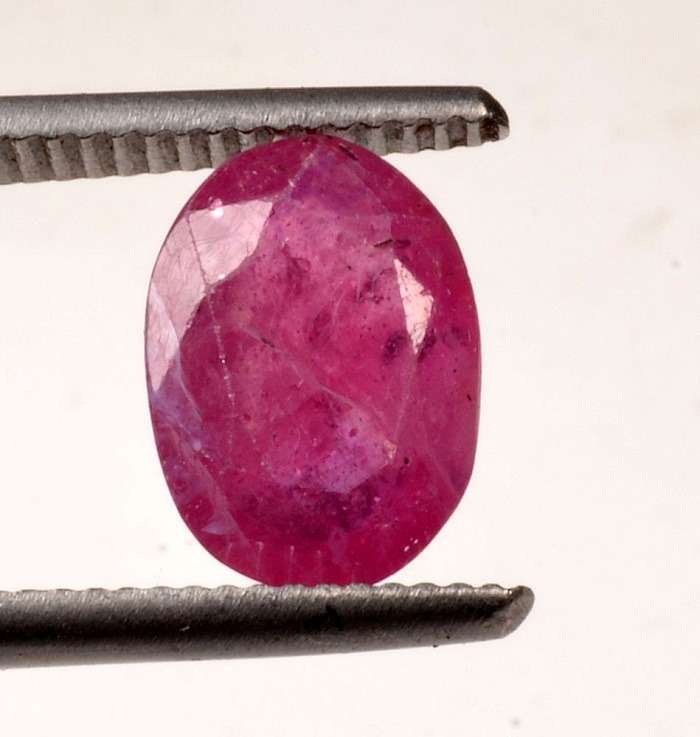 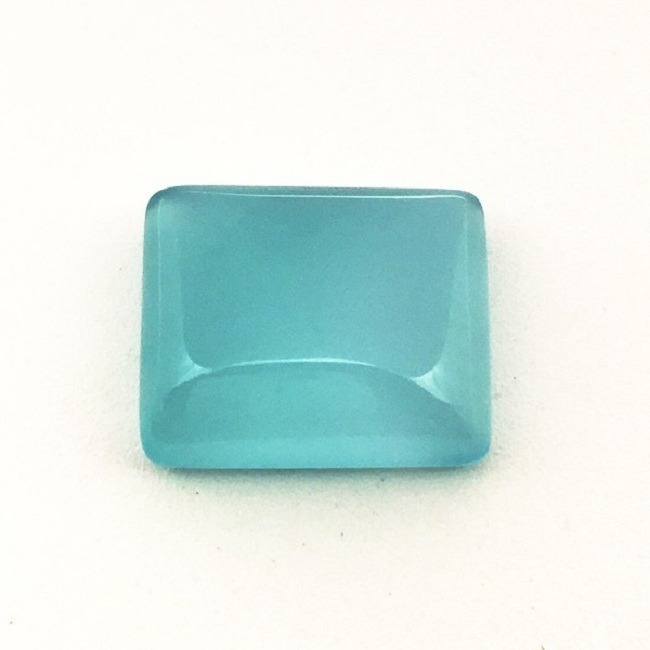 Cut and Shape – Tourmaline is cut into rectangular bars. 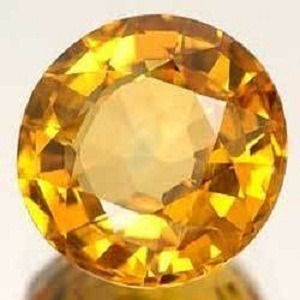 It is also available in various traditional and fancy shapes. Darker stones are mainly cut with table parallel to the main axis. 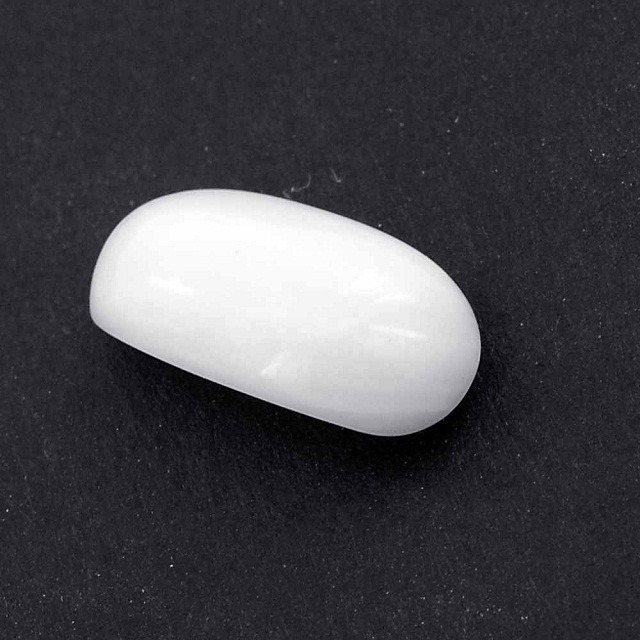 Treatment – It is generally untreated. 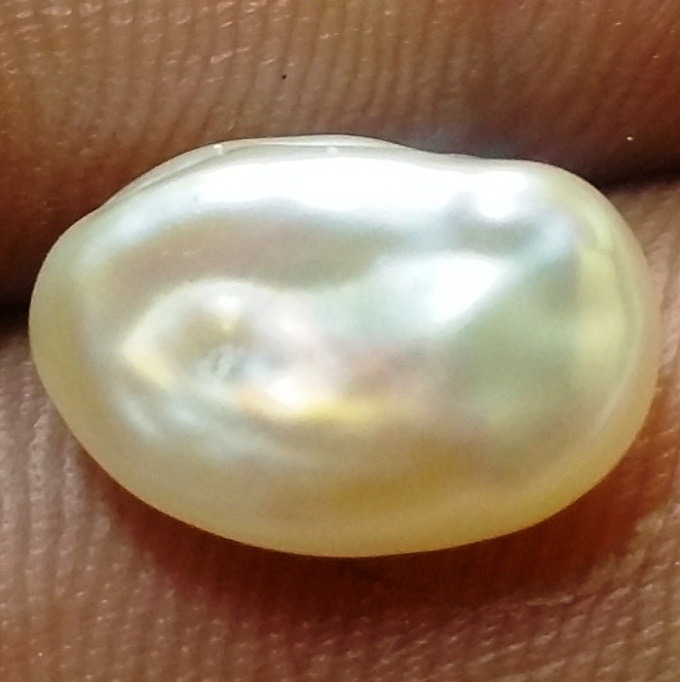 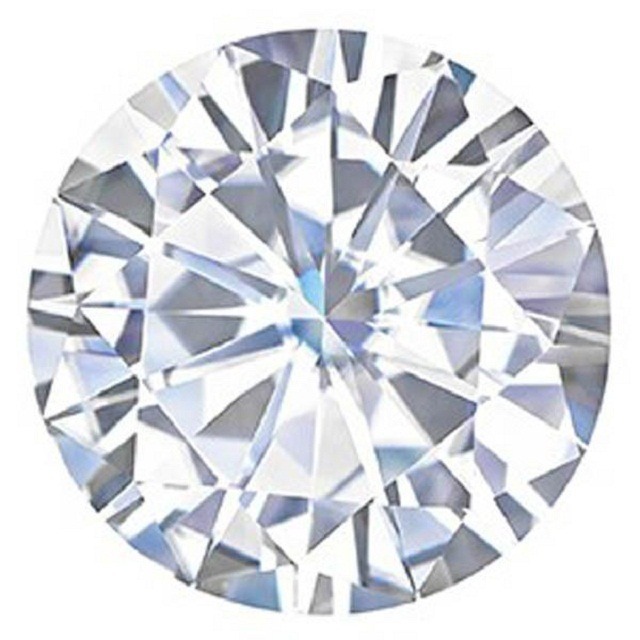 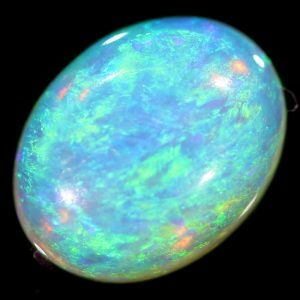 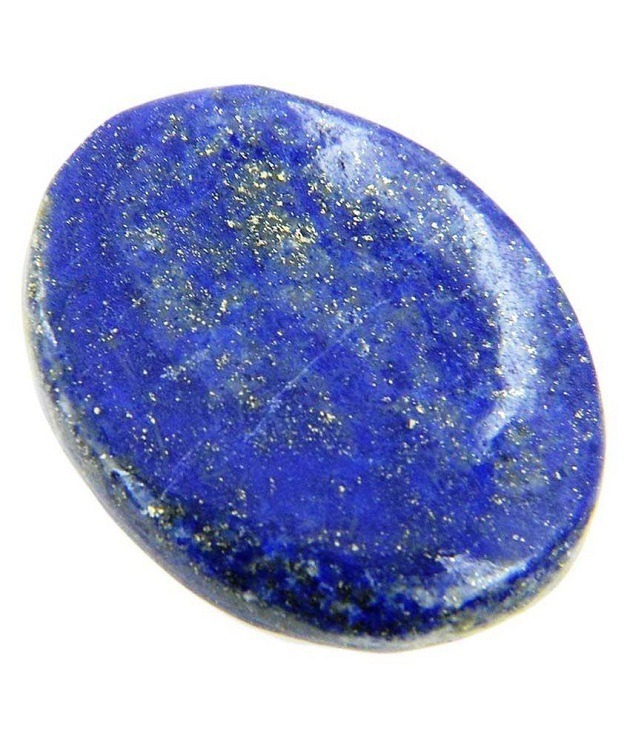 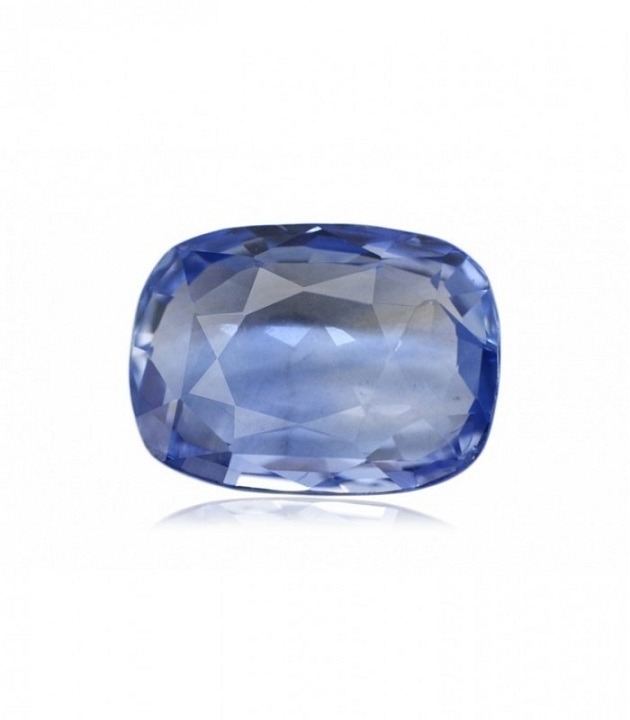 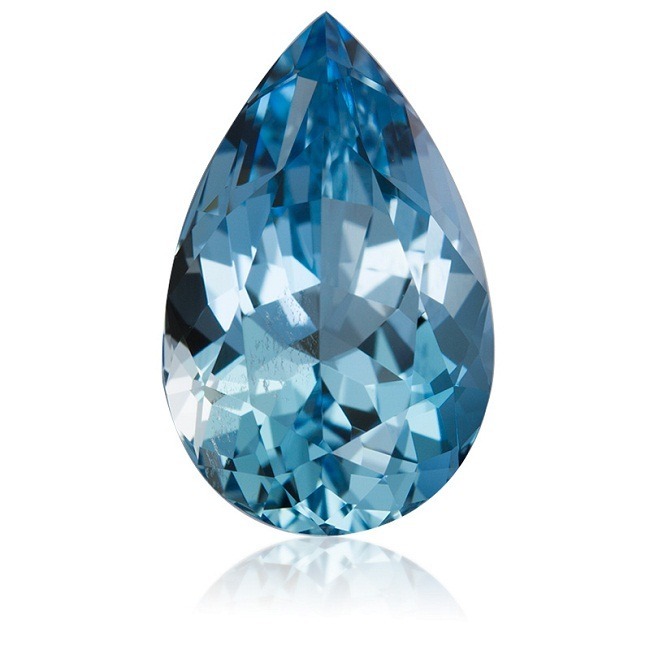 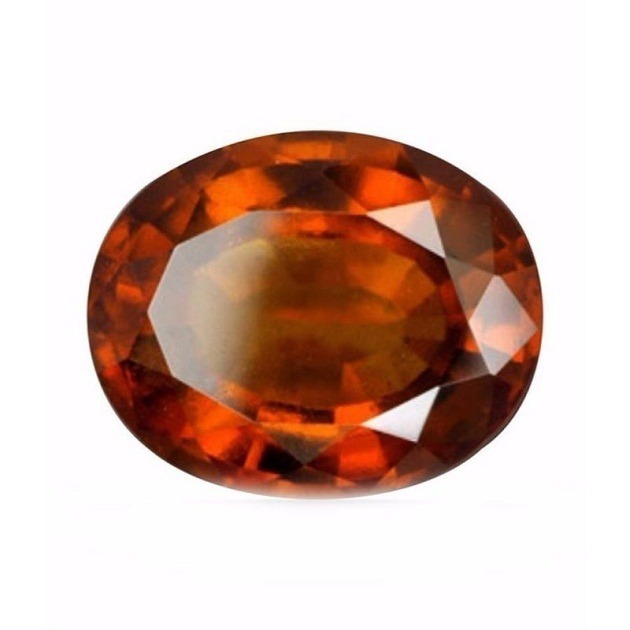 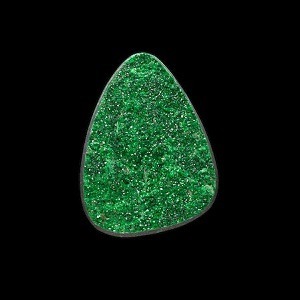 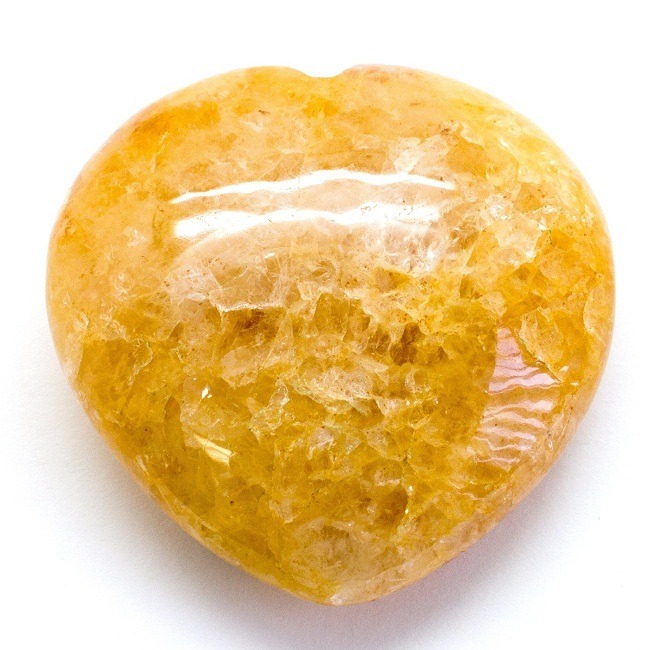 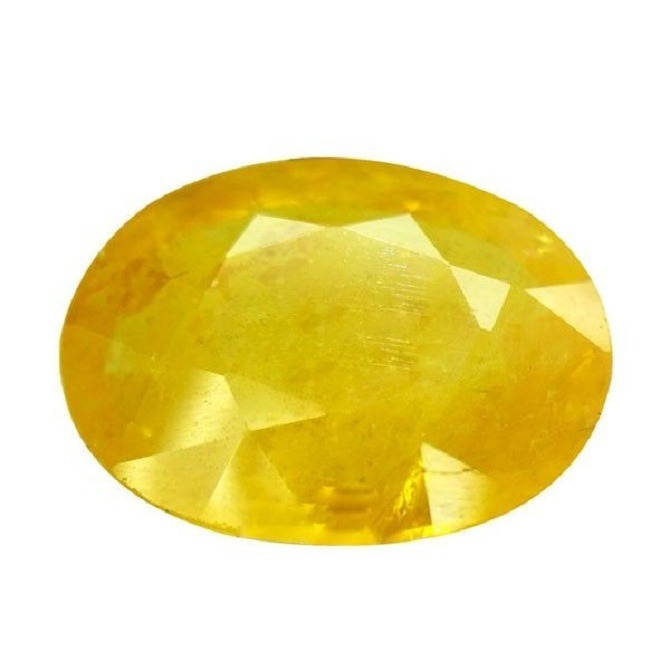 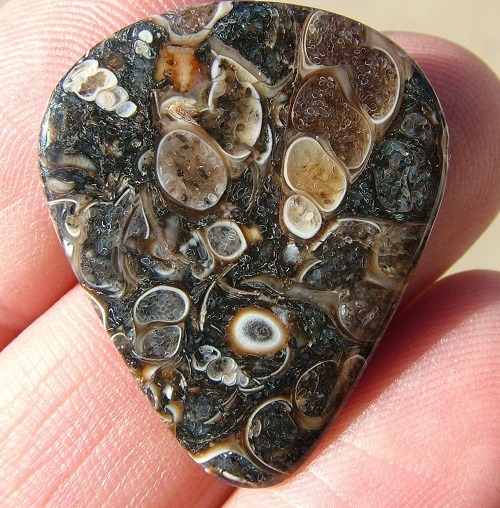 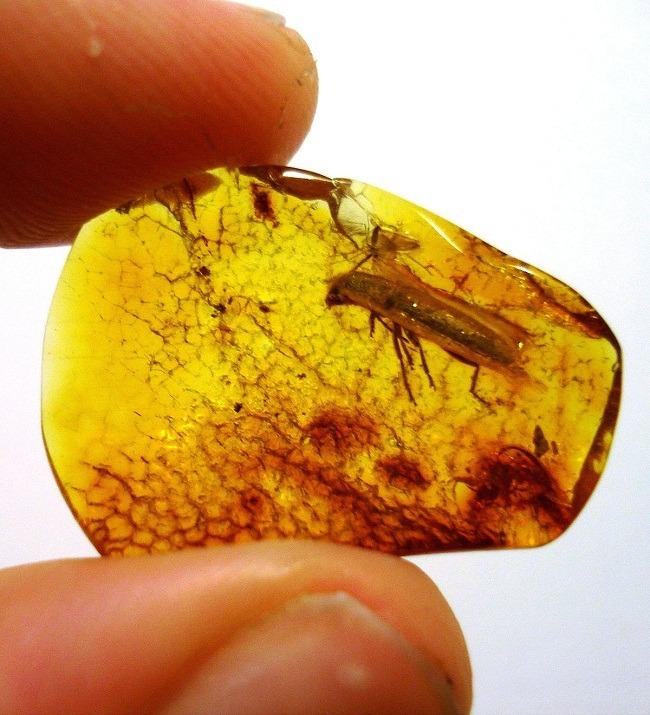 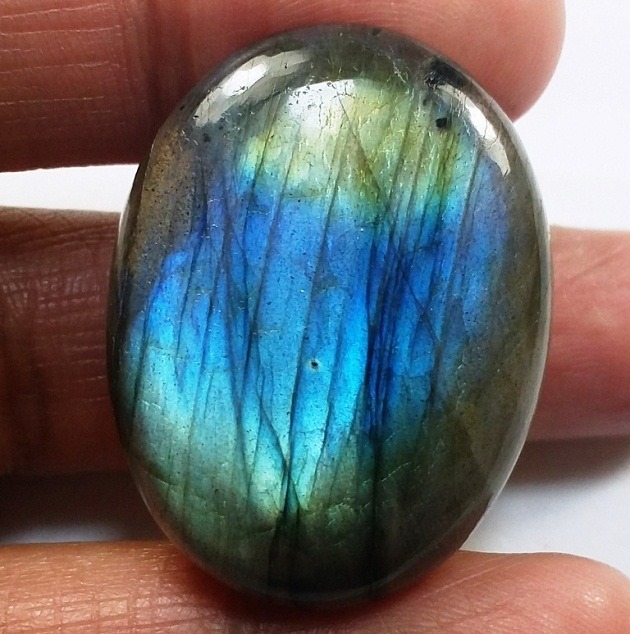 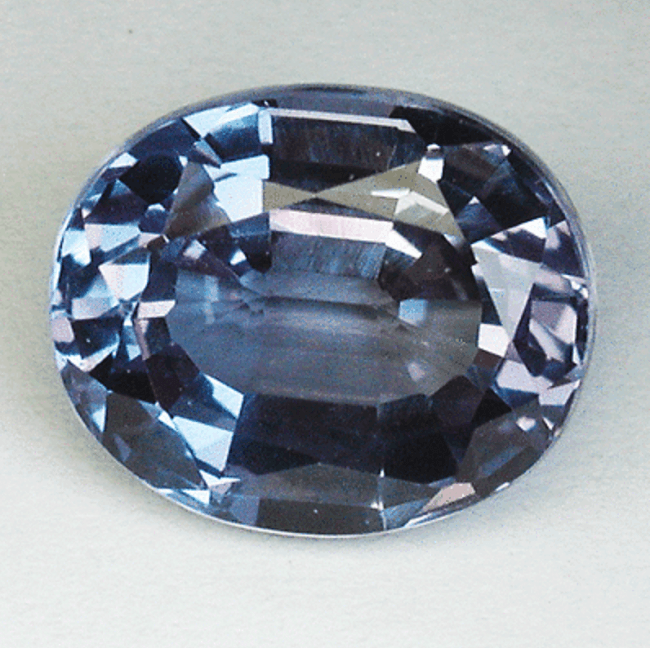 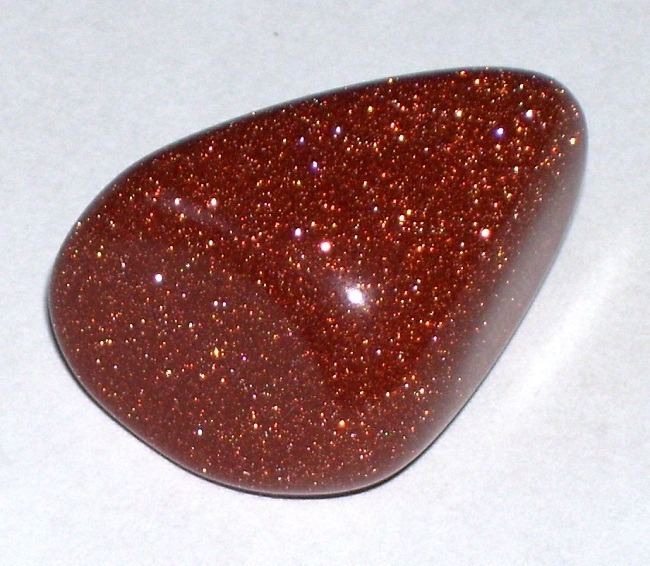 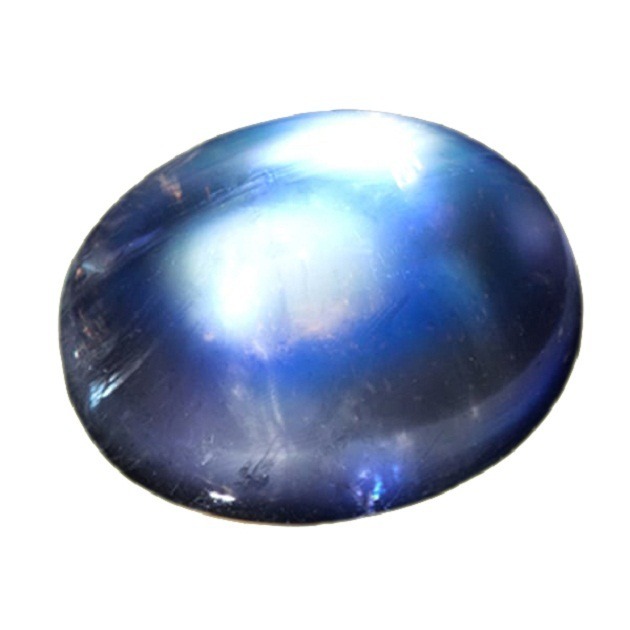 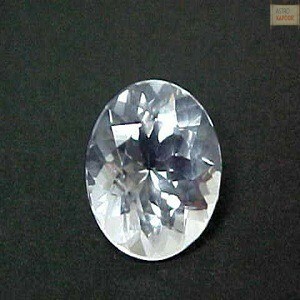 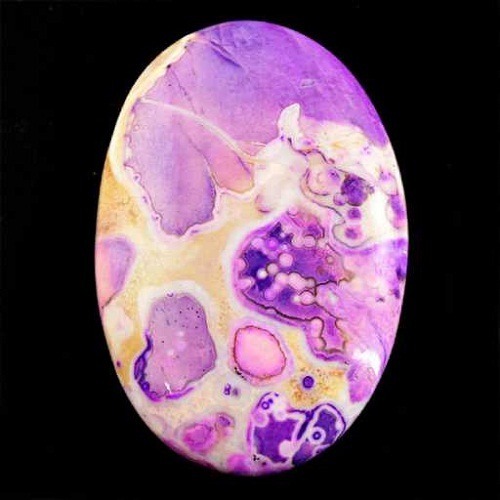 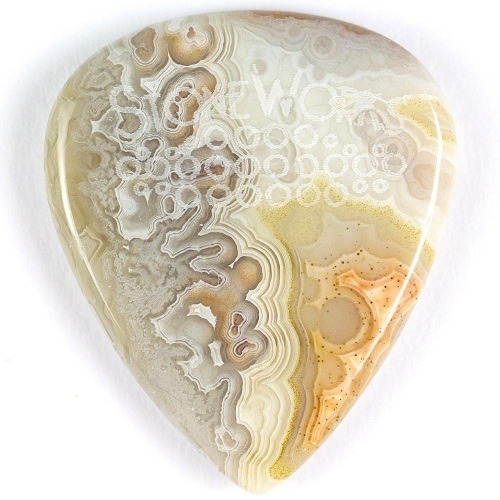 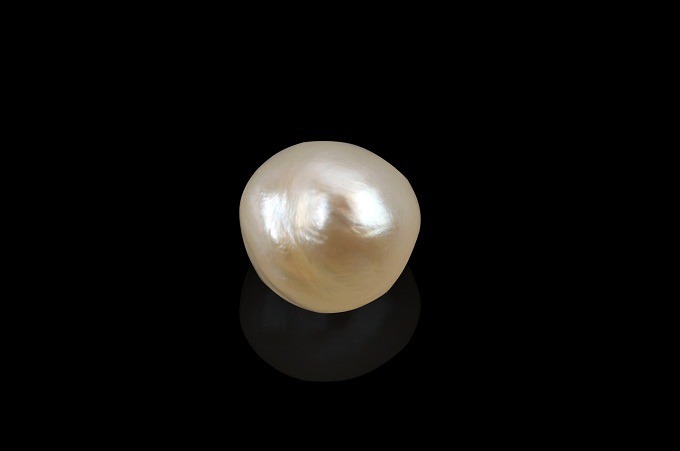 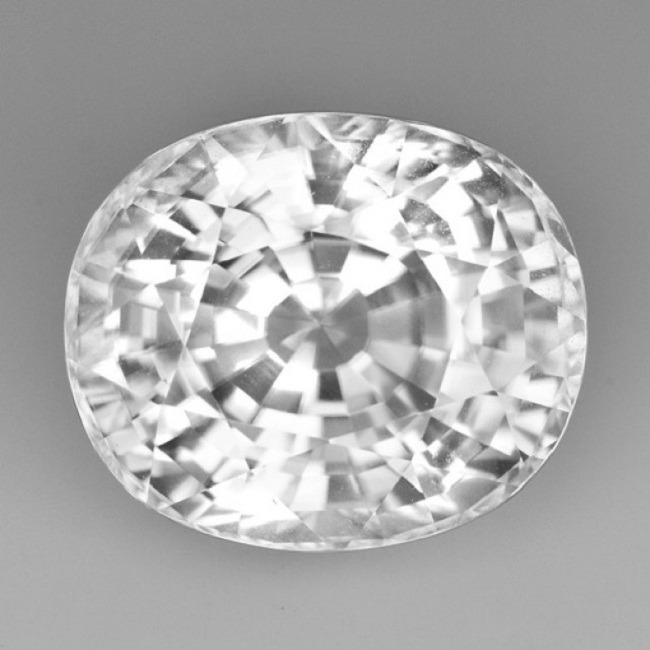 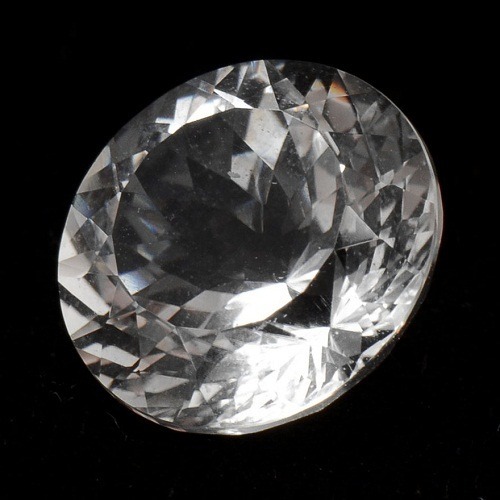 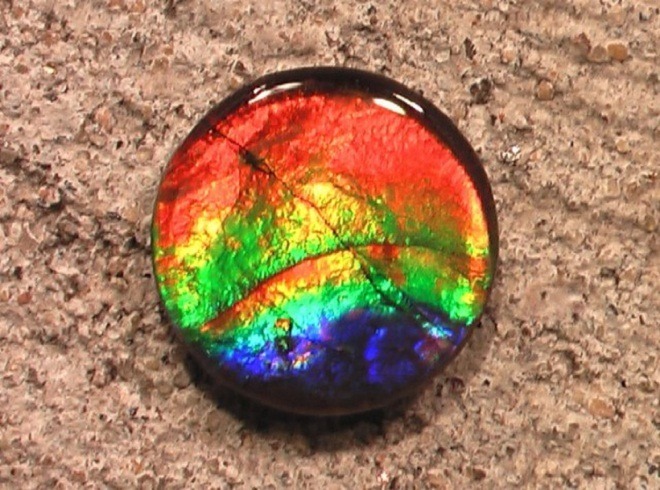 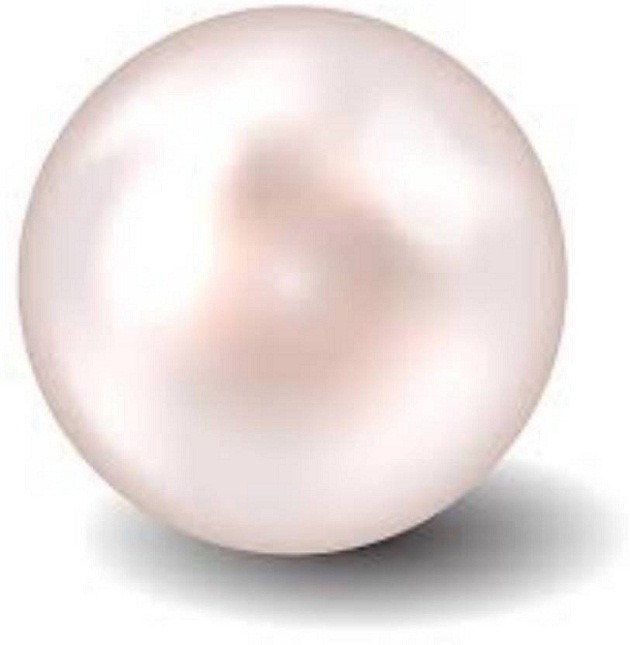 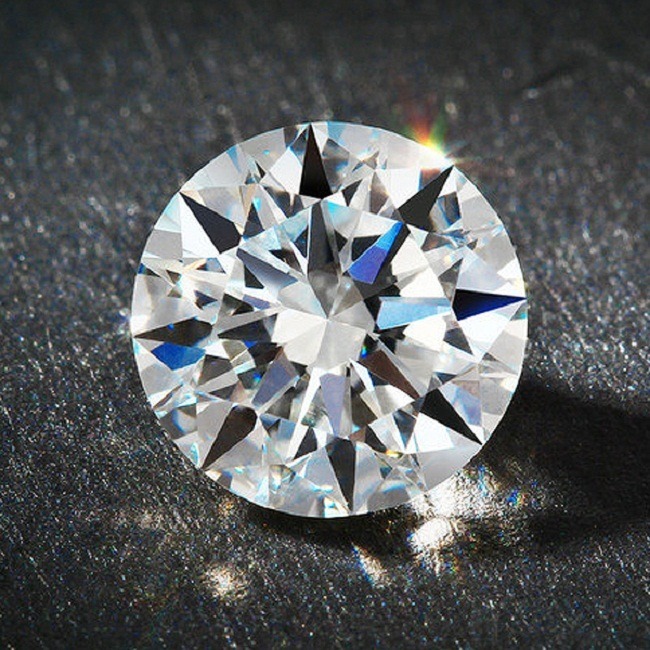 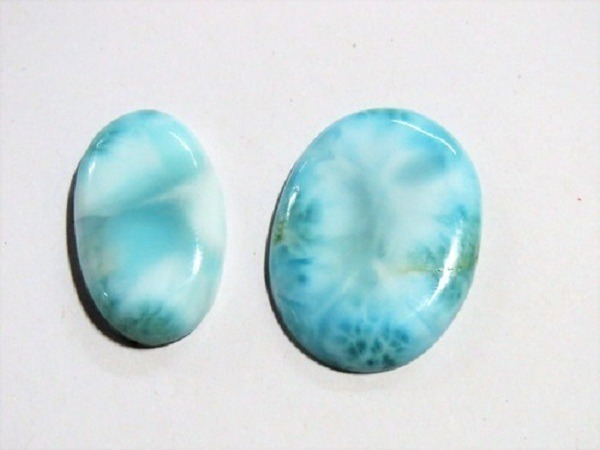 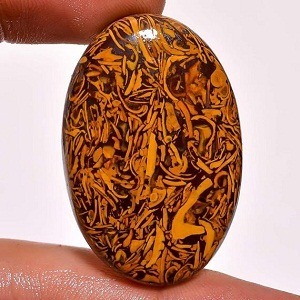 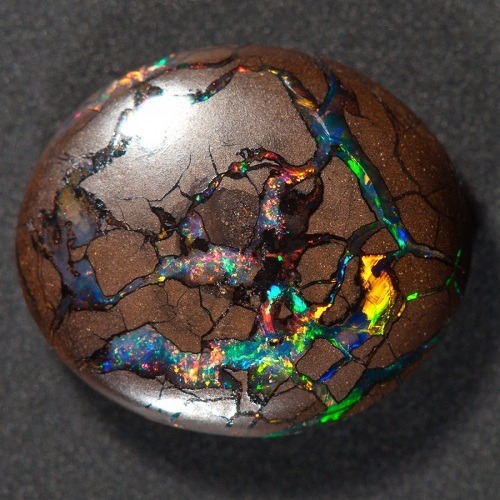 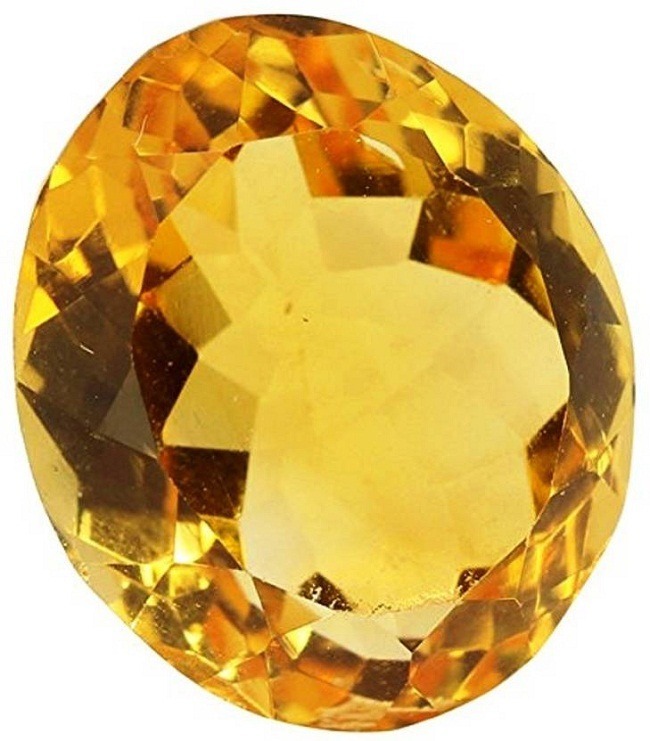 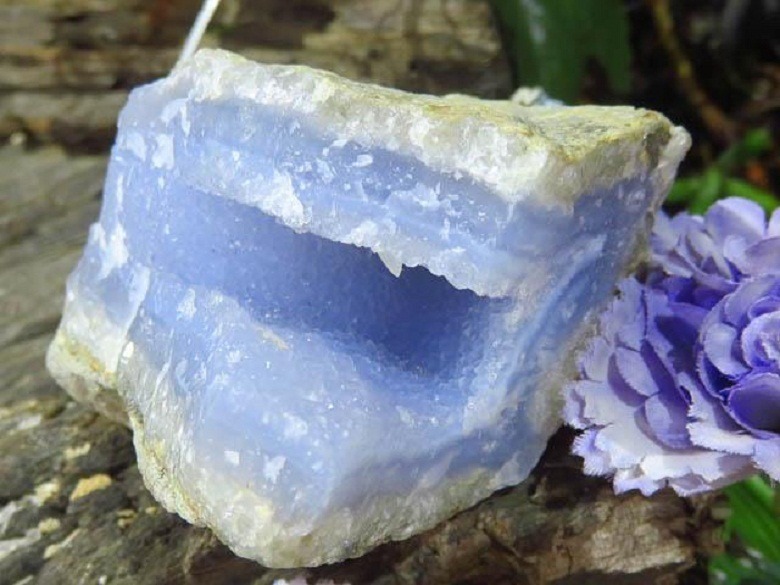 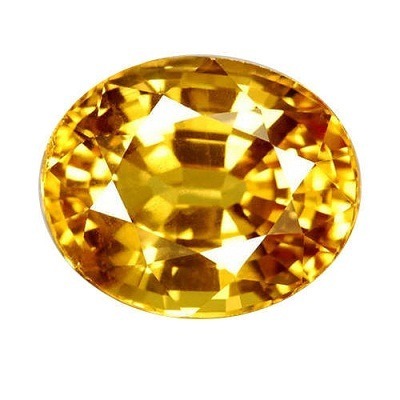 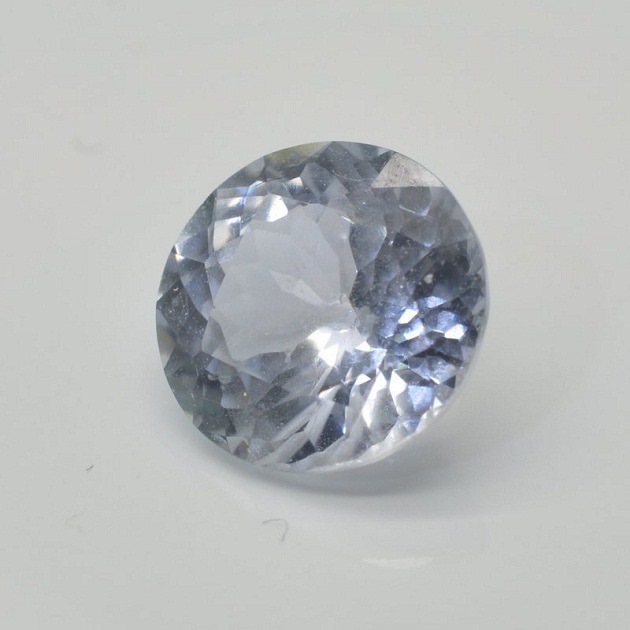 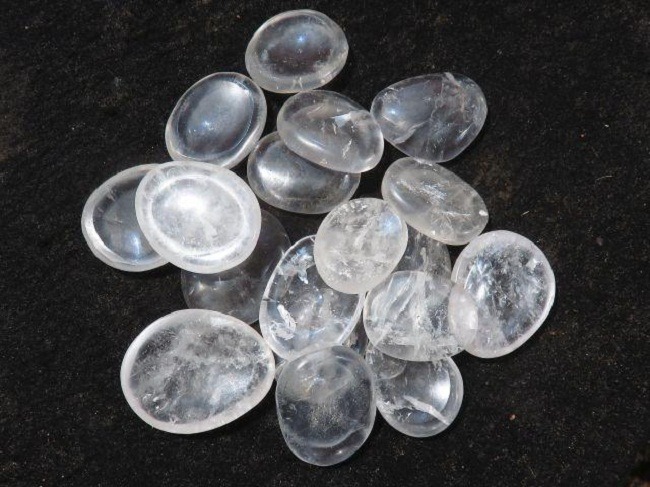 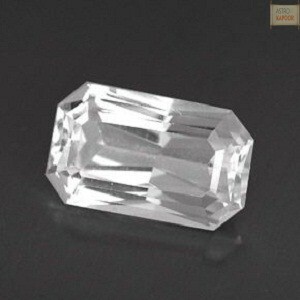 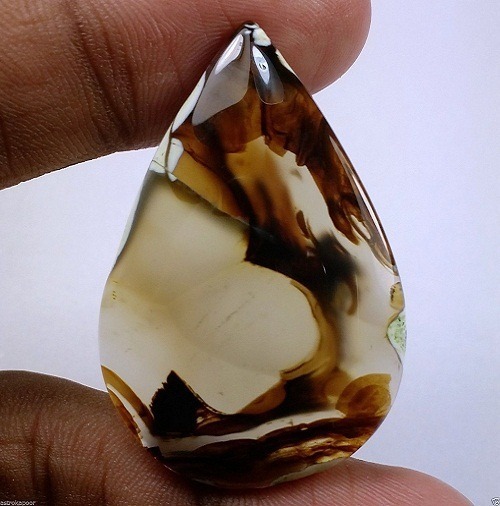 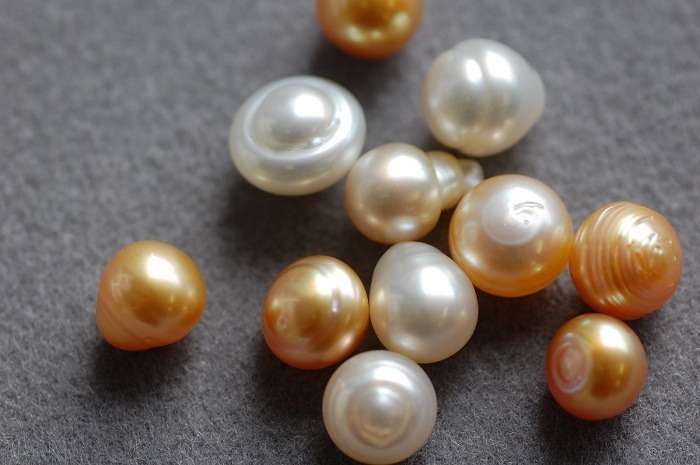 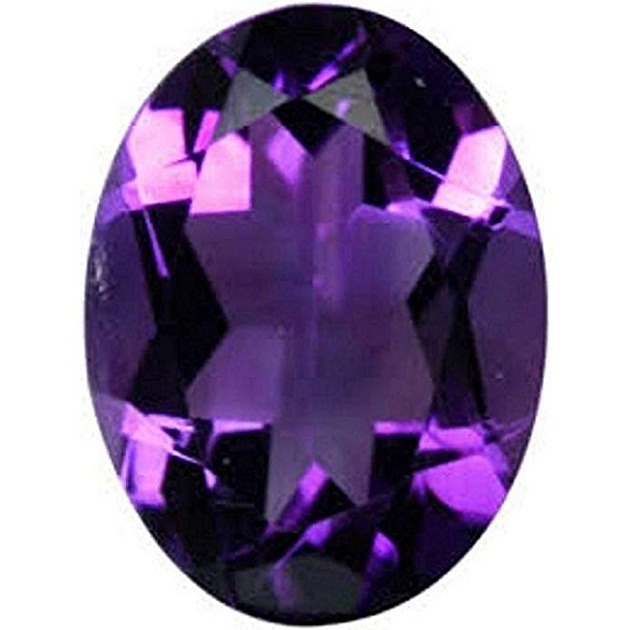 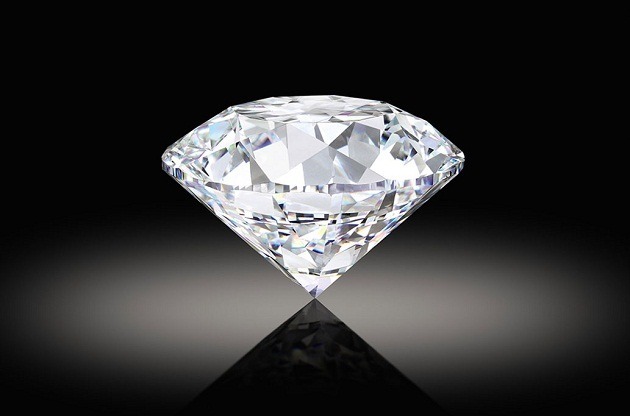 But some stones are heated to improve the clarity and luster. 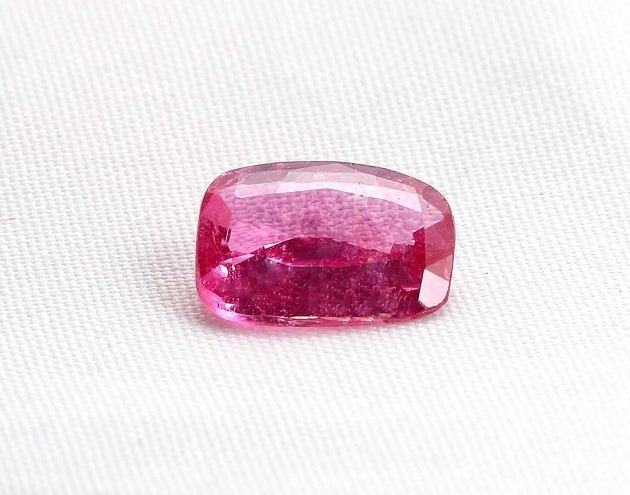 Tourmaline is known to increase the flow of positive energy in the life of the wearer. 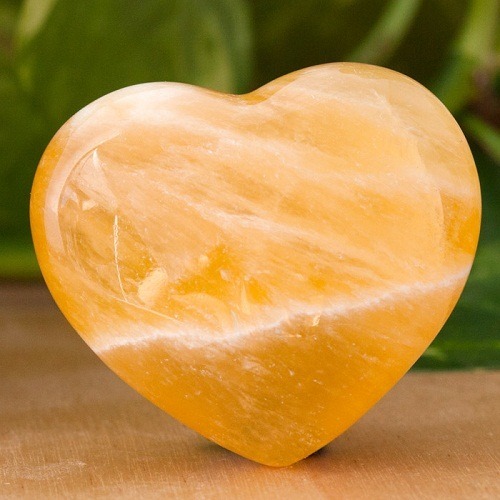 It helps to balance the energies of the body. 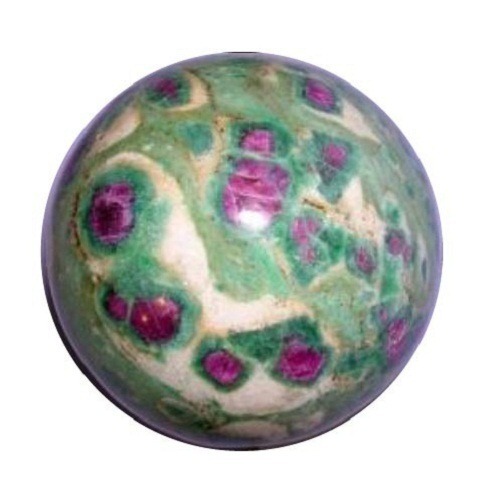 Tourmaline affects different chakras of the body. 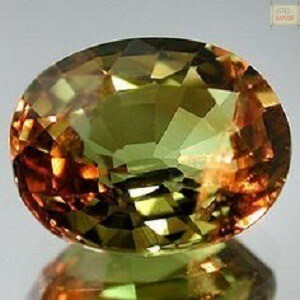 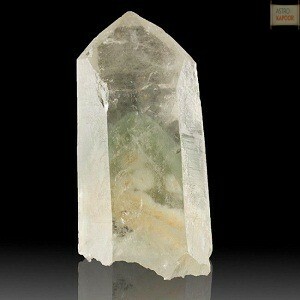 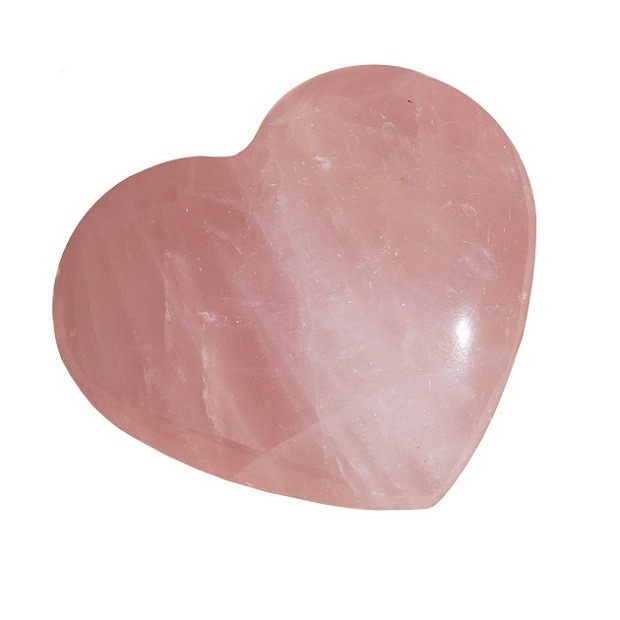 Tourmaline relieves stress, mental anxiety; improve circulation and produces detoxifying effect on the body. 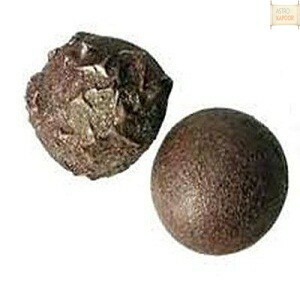 It is a powerful agent for removing stress. 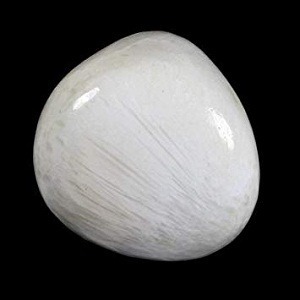 This produces highly stabilizing effect on the nervous system of the body.